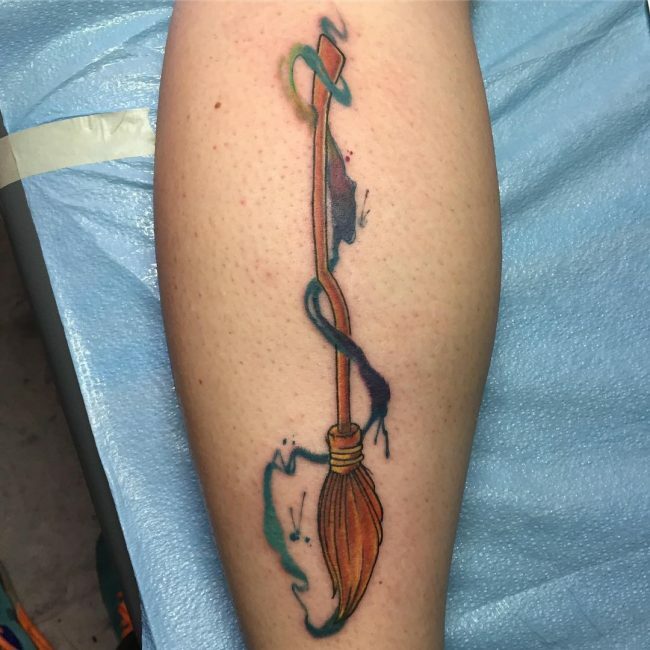 85 Phenomenal Harry Potter Tattoo Ideas – Where Fantasy Meets Body Art! 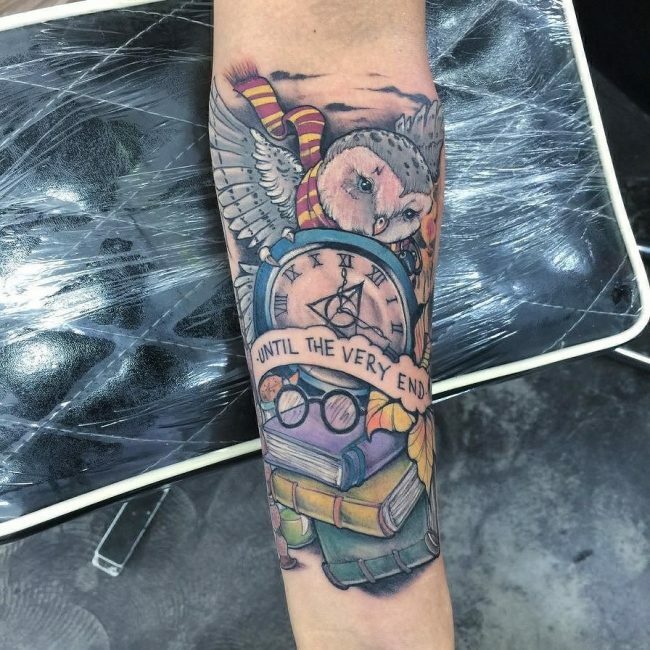 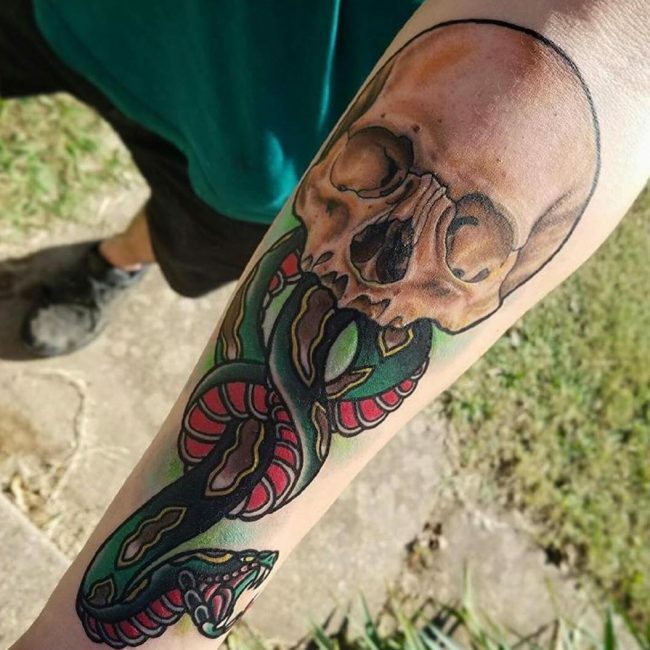 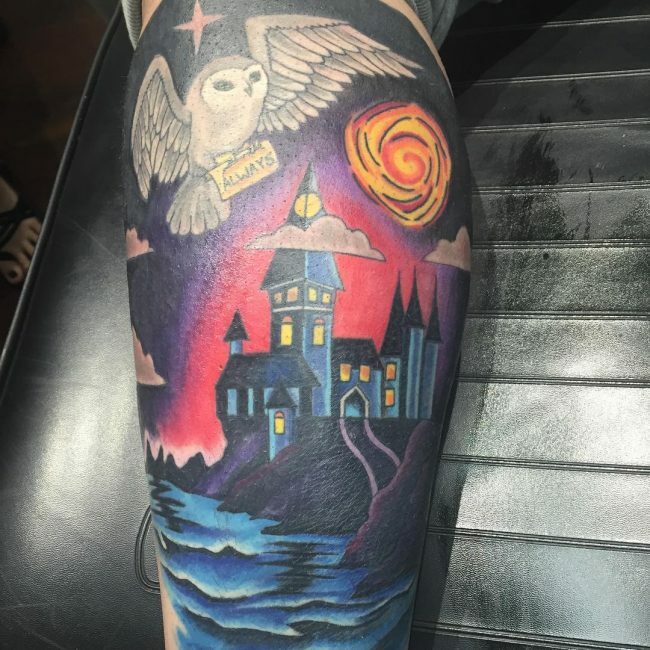 A Harry Potter tattoo is the best way to show that you are a real fan of this book series. 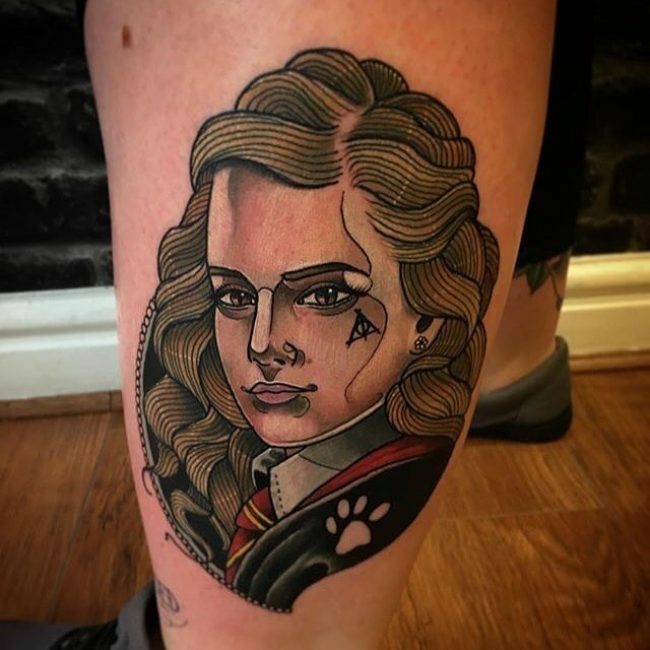 However, you do not even have to like the movie to get one of these tattoos because many designs and types will impress anybody that loves body art. 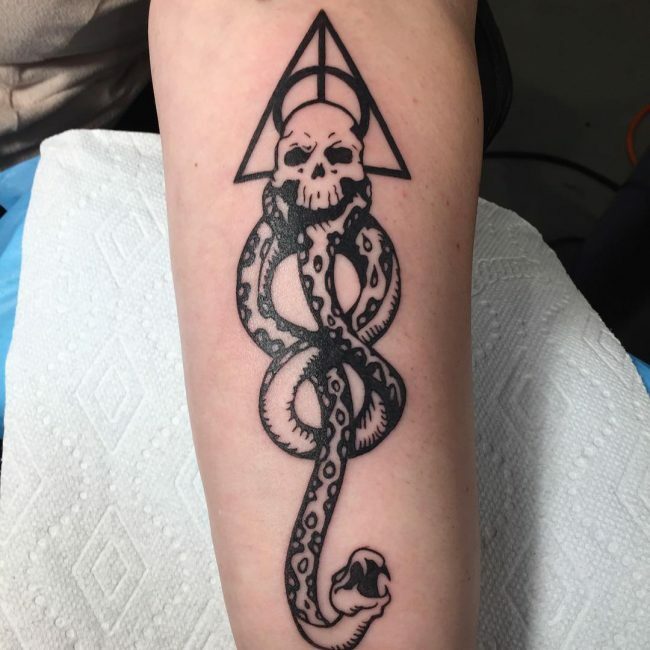 From the face of Harry Potter and other characters to the mystical and magical symbols in the movies, the design options are endless, and so you can be confident that there is always something trendy to try out. 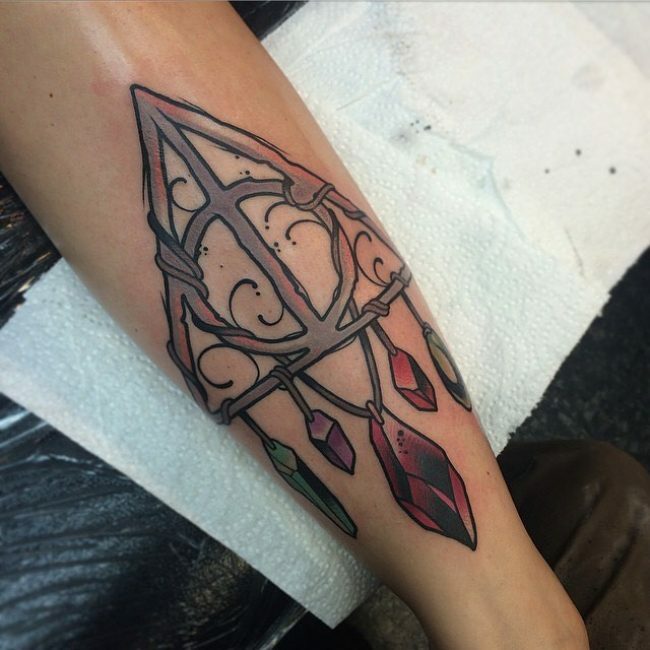 These types of tattoo are a relatively new idea, and this is more so if you compare them to other totems. 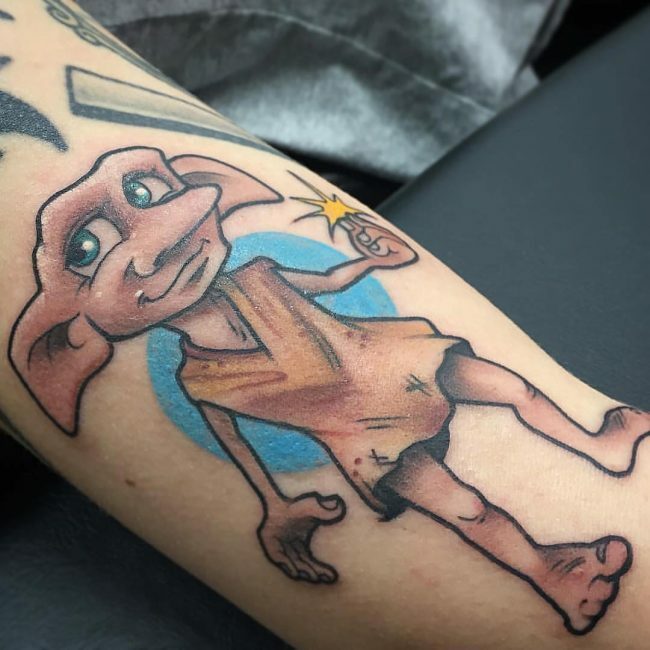 It is right to say that people started drawing them in 2001 after the release of the first movie. 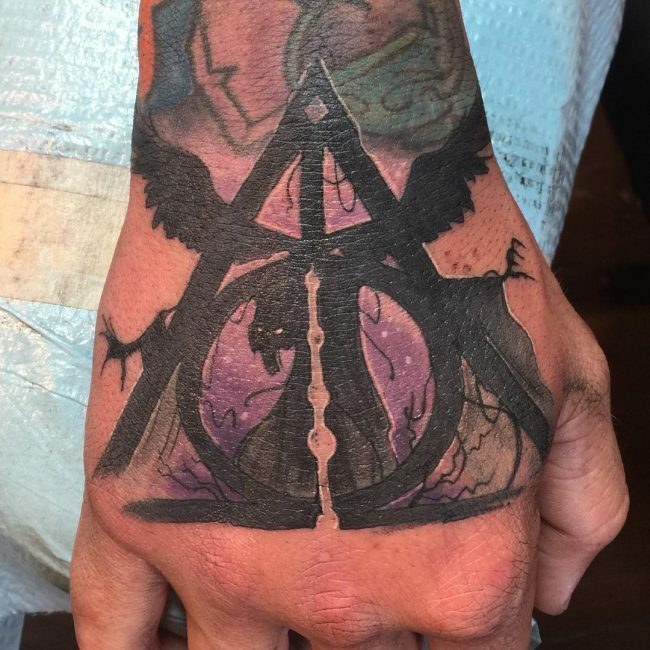 But, new designs have been coming up over the years as more and more Harry Potter movies are released. 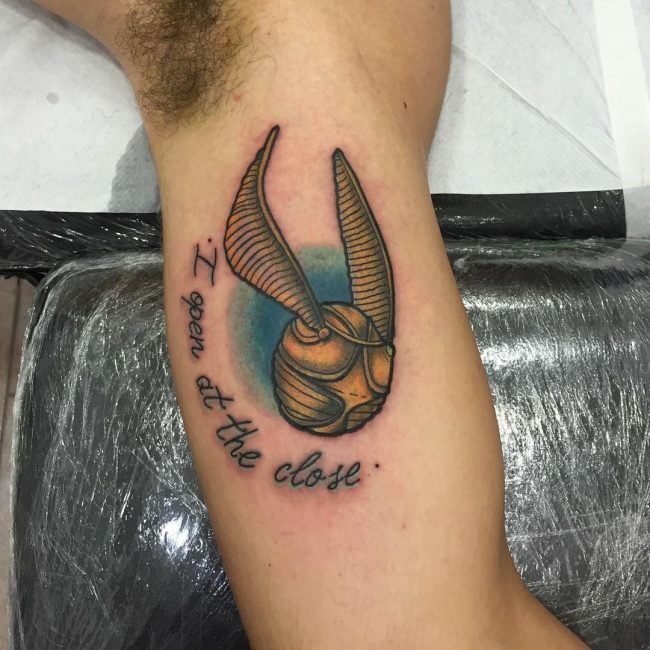 Whether you want to draw a direct symbol from the film series or something that only a diehard fan can understand the options are endless. 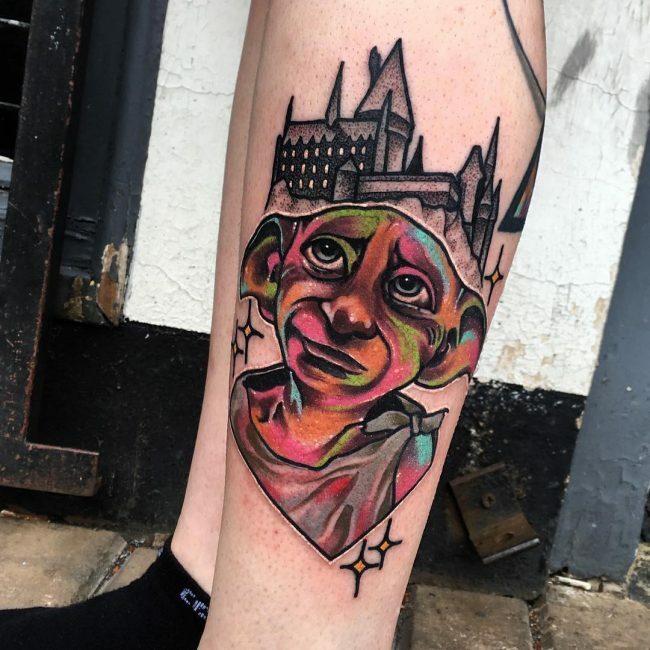 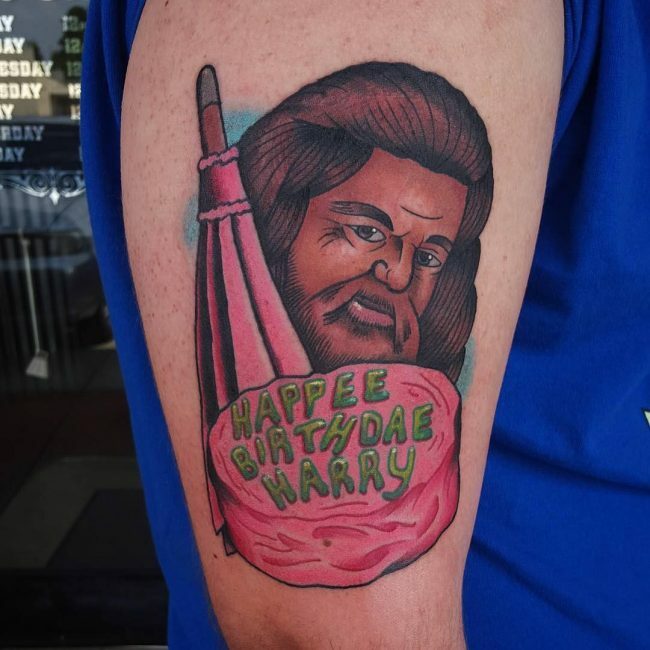 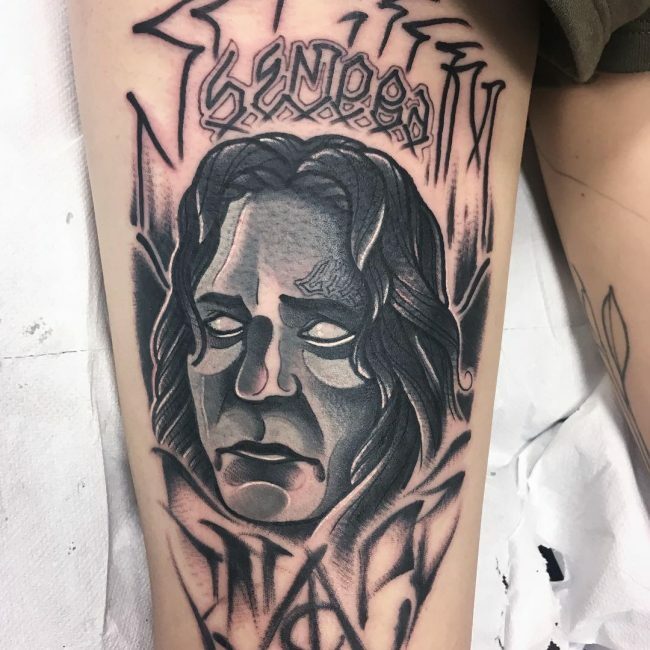 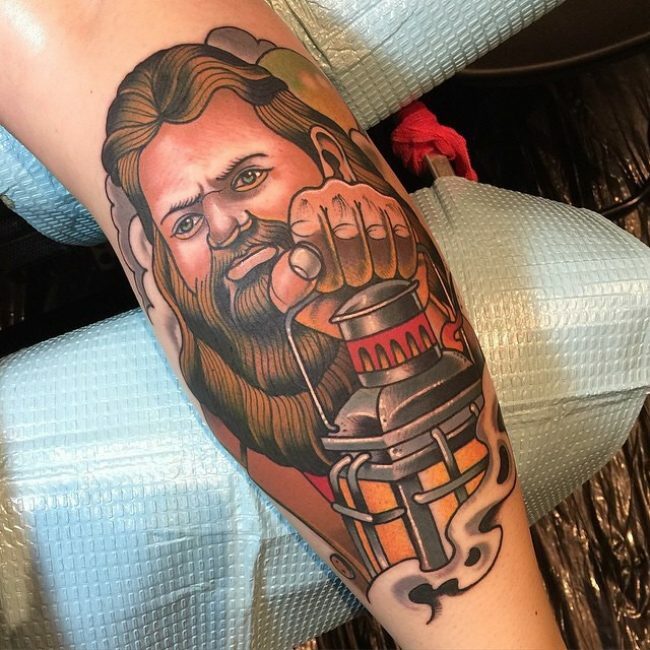 The fact that this is one of the most successful film series of all time means that it has millions of loyal followers across the world and tattoo artists are among these fans. 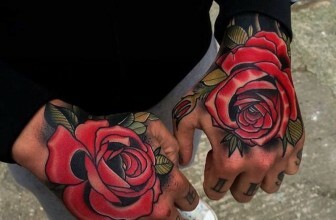 And so finding a good design and an artist that can draw it well should not be a problem. 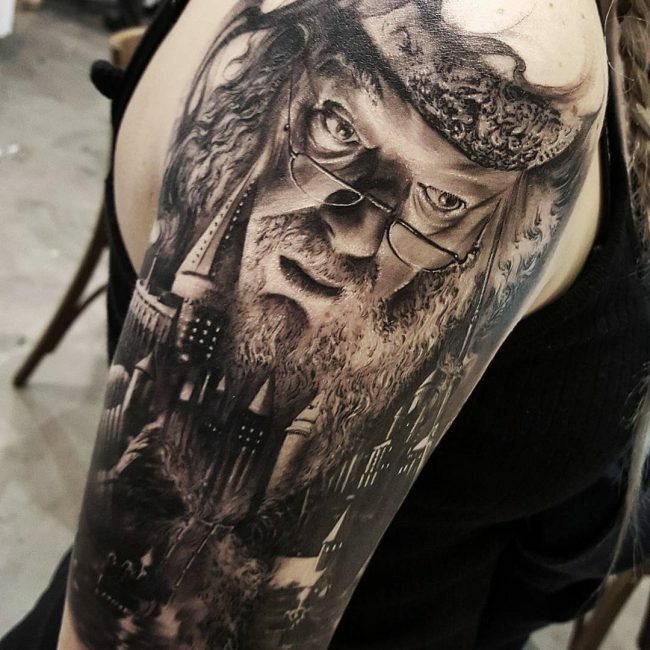 The story of Harry Potter is the creation of award-winning British author J.K Rowling. 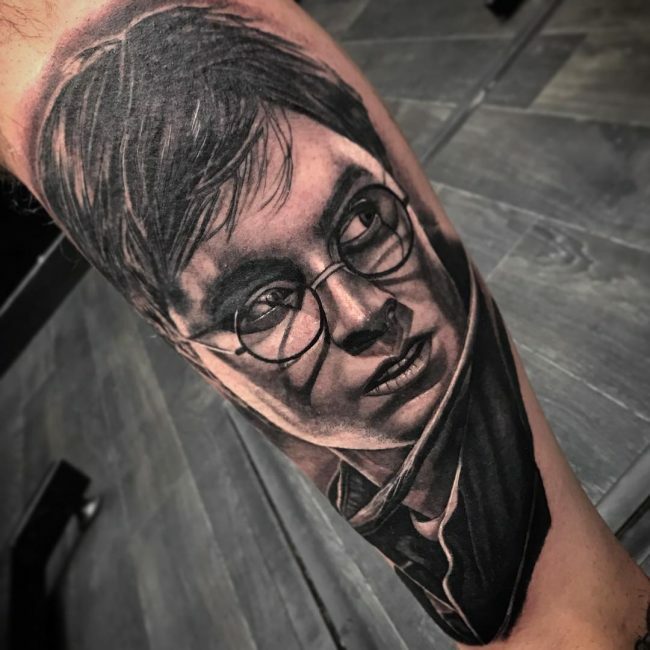 Harry Potter is a series of novels and films, and they are about a young English lad that finds out that he is a wizard and has to learn how to live with his gift. 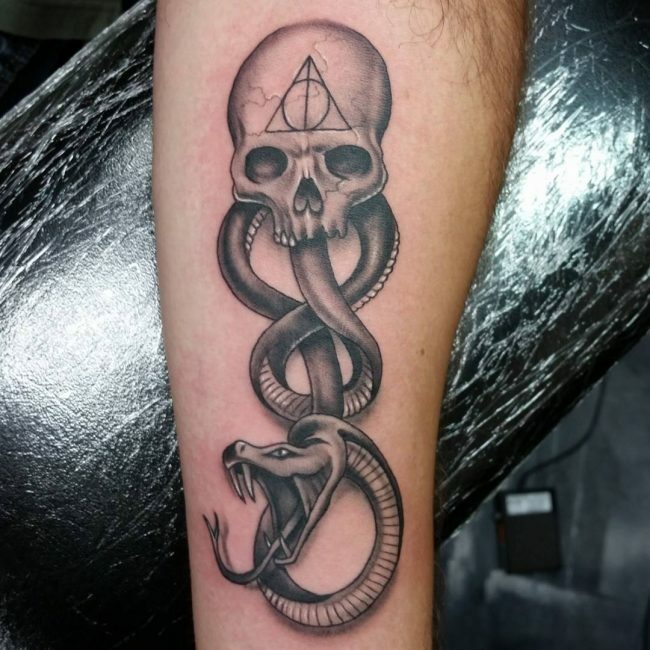 There are also dozens of games that get their inspiration from the J.K Rowling books. 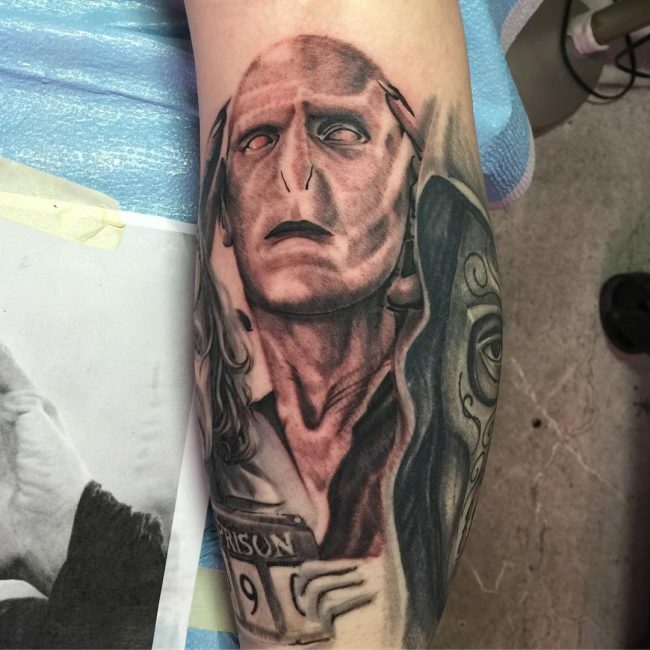 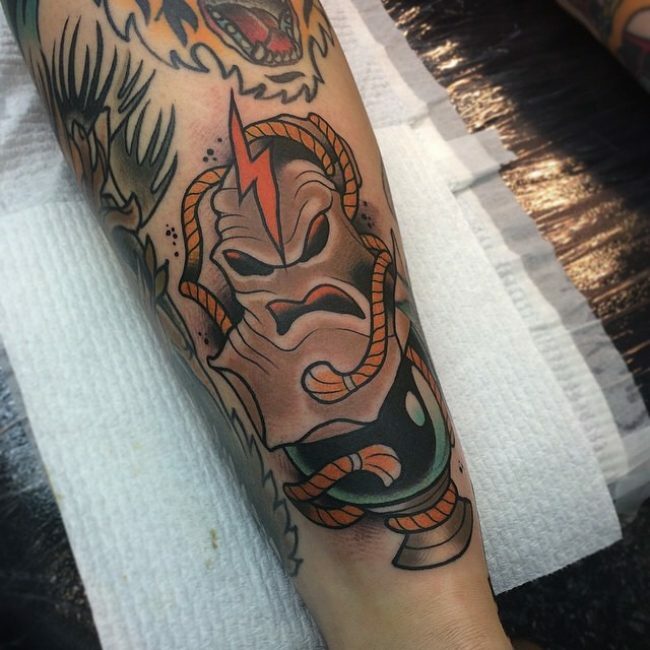 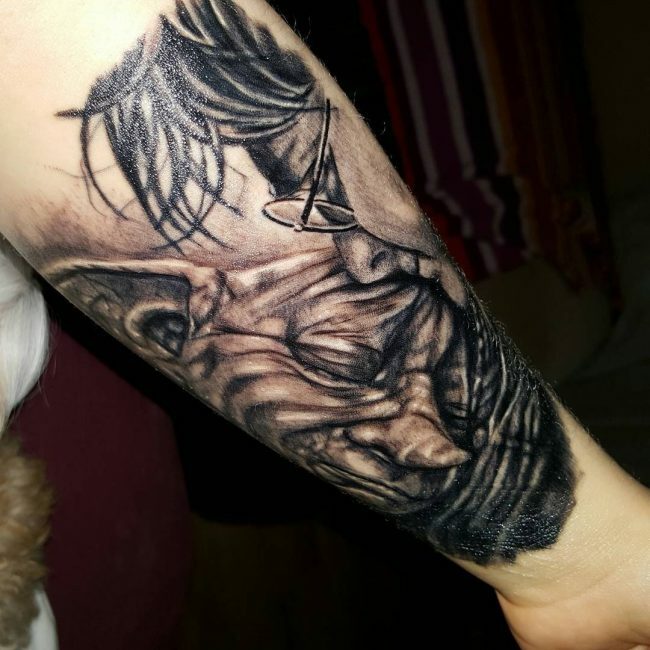 But, most tattoos get their designs, idea and inspiration from the film series. 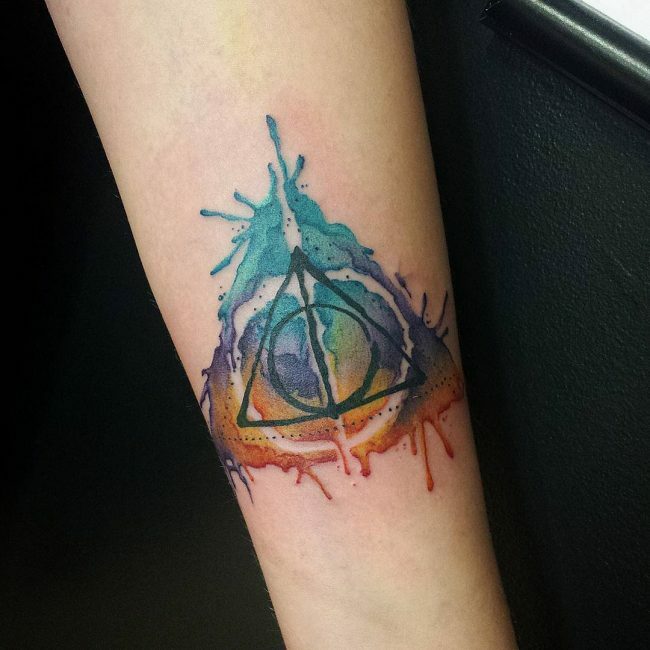 A Harry Potter tattoo is not just a beautiful image because it can have profound meanings and symbolism. 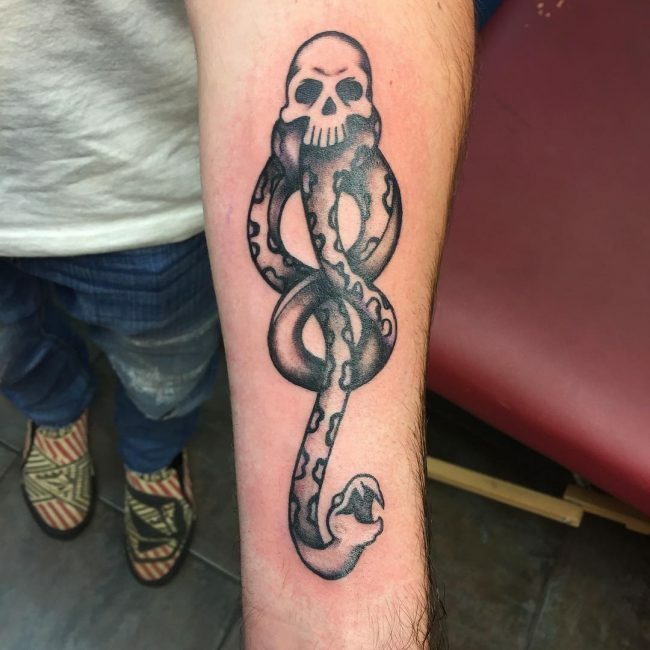 For most people, it symbolizes their love for the book or Film. 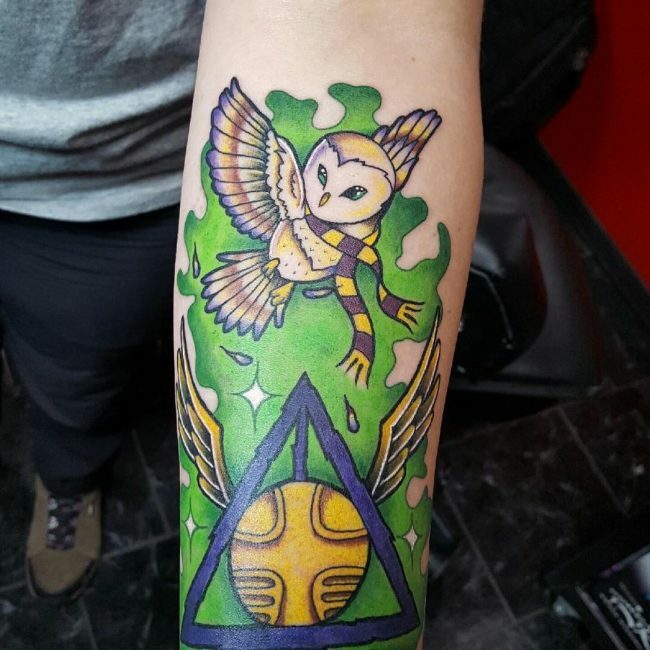 Some individuals are so into the series that they will get a totem as a permanent reminder of their loyalty. 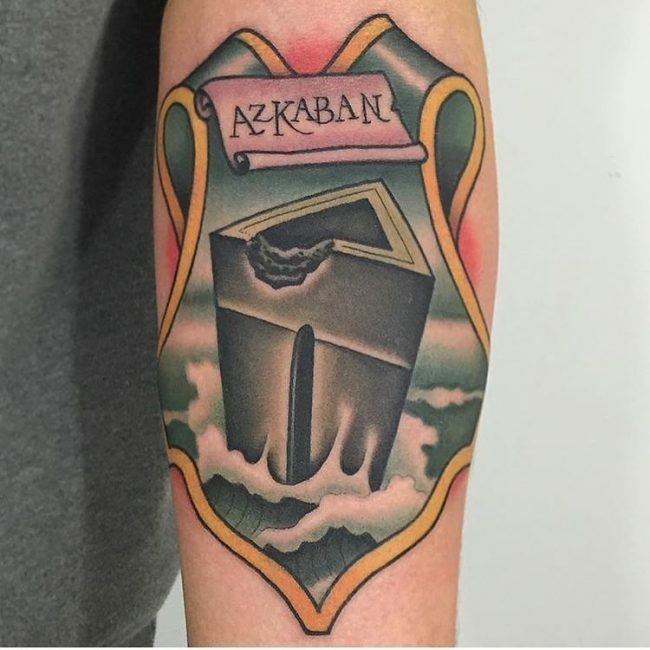 Others will also get the tattoo to represent someone dear to them who loves the books or movies. 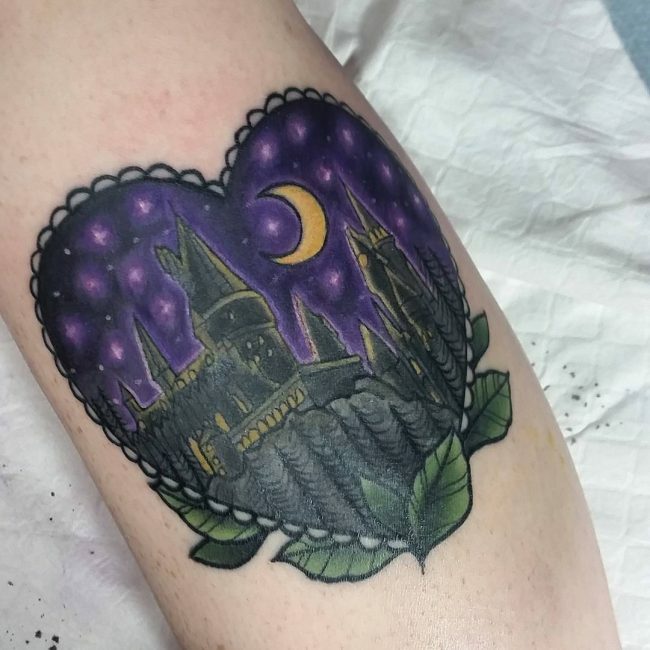 And so you do not have to be a fan to get one of these tattoos because you can use them to represent someone that you love who is a fan of Harry Potter. 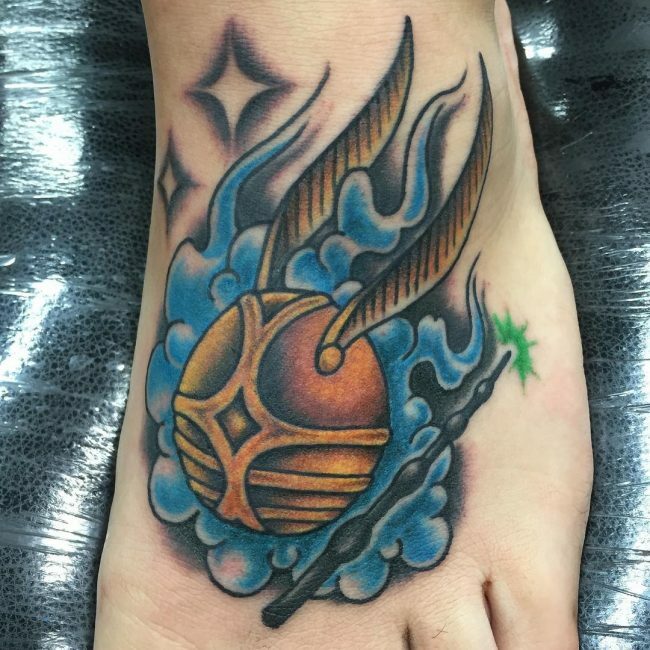 Your tattoo will also express your love for adventure because this is what the series is all about. 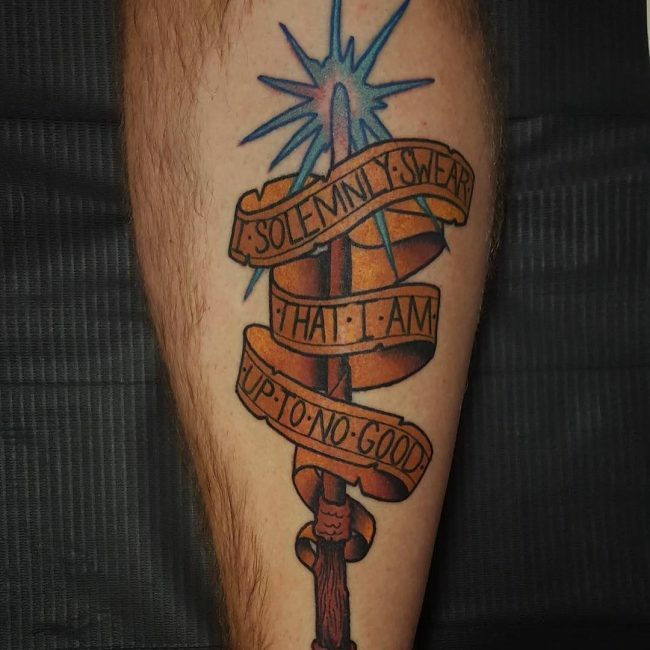 And so if you love adventure there is no better way to show this than with a glamorous HP totem. 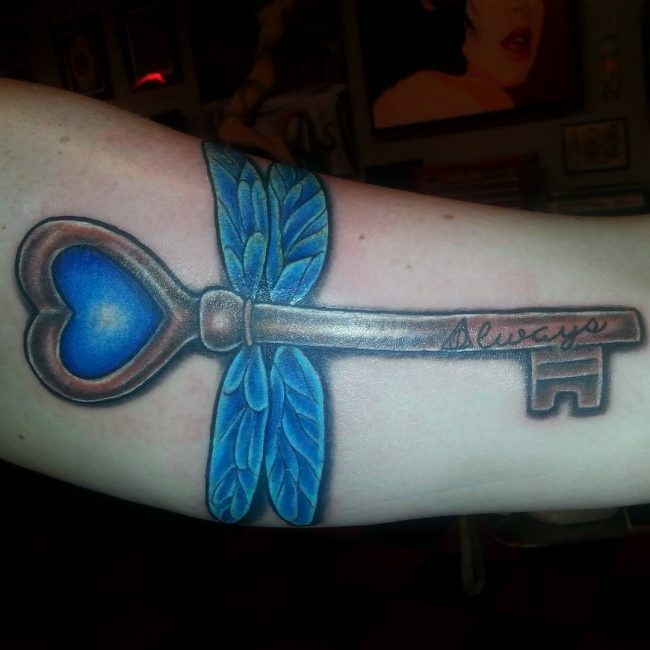 The body markings will also symbolize your fascination with magical and mystical things. 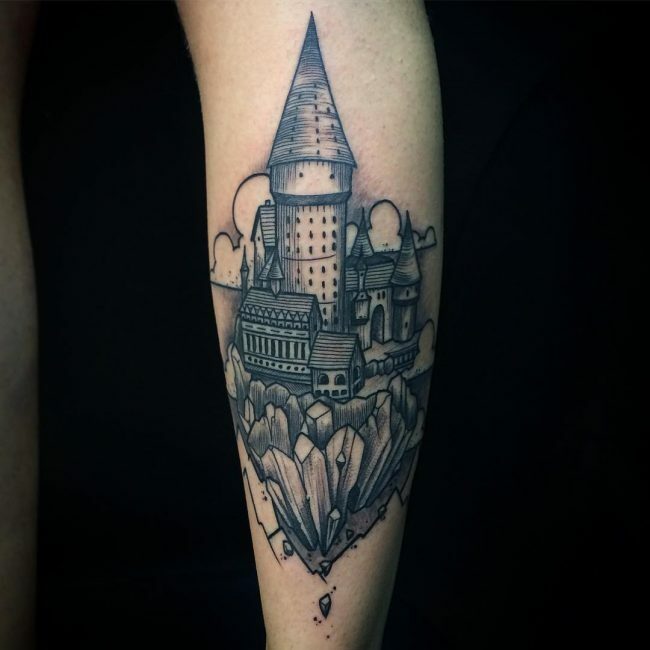 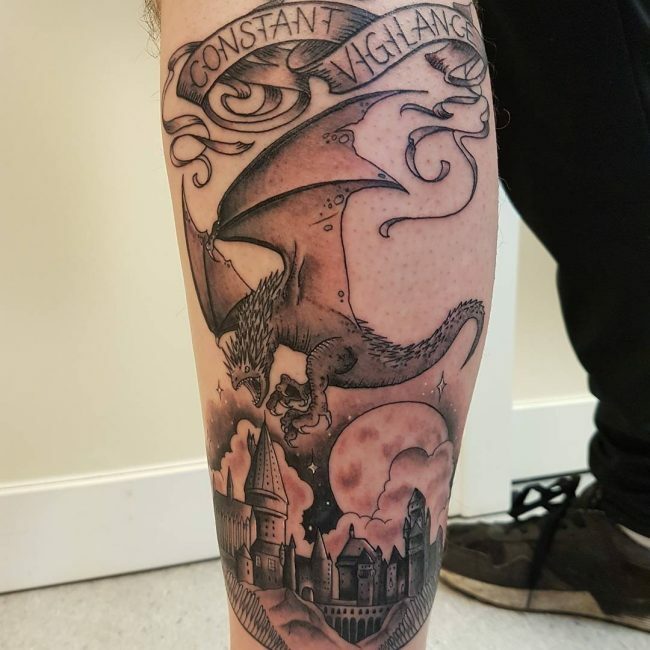 Although they might all be fiction, it does not mean that they are not fascinating and so your tattoo will always remind you of your fantasy and fascination. 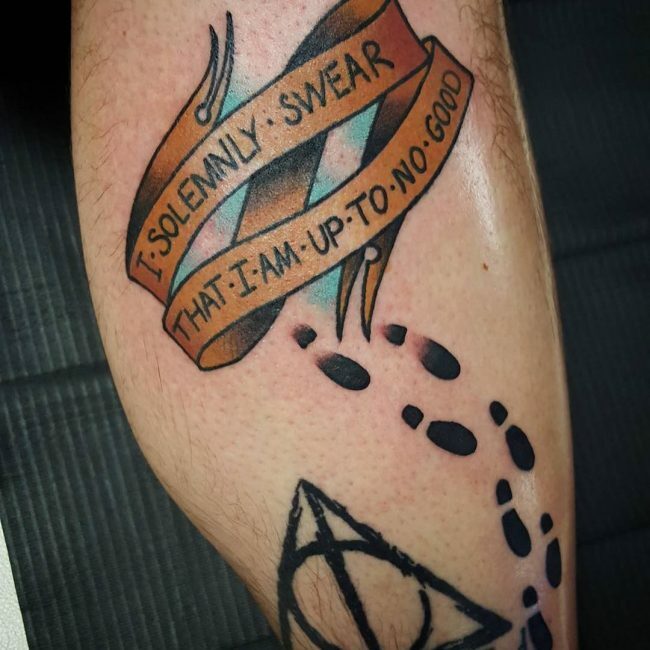 There is a generation that grew up reading and watching these movies because they came out during their teenage years. 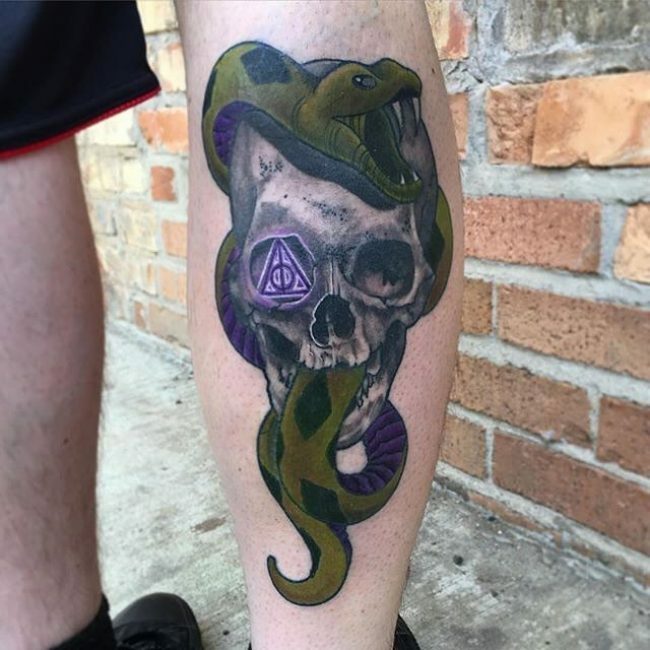 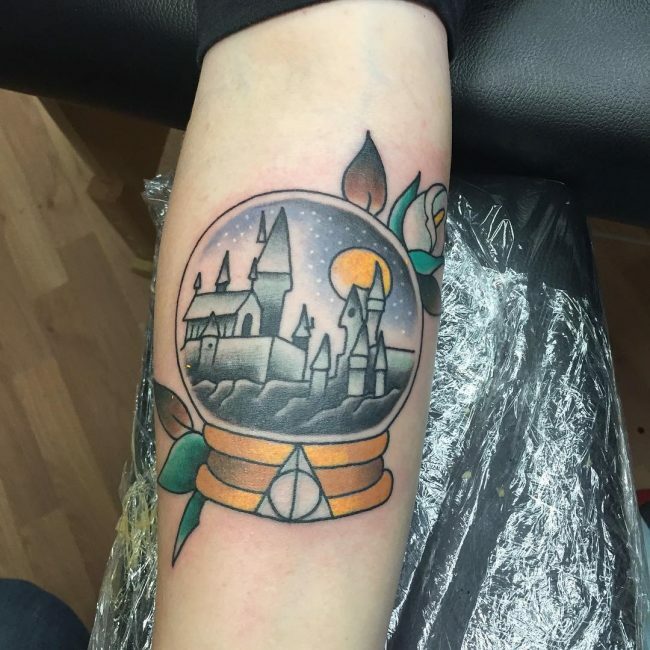 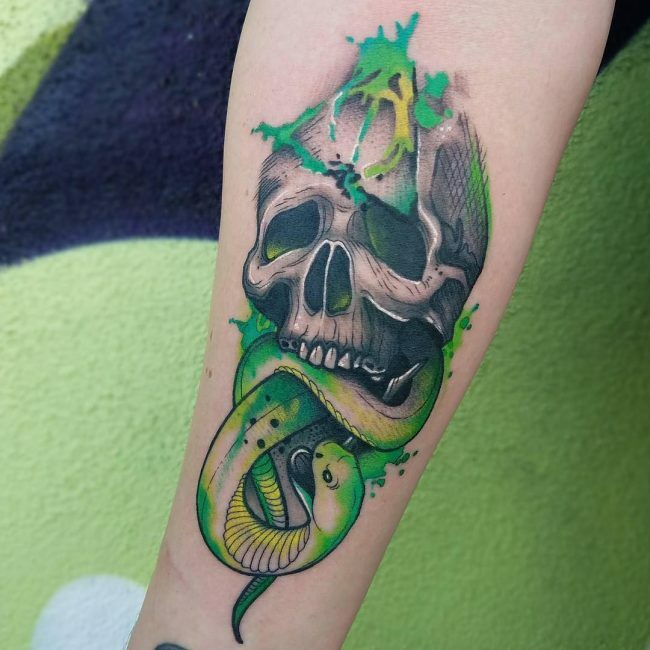 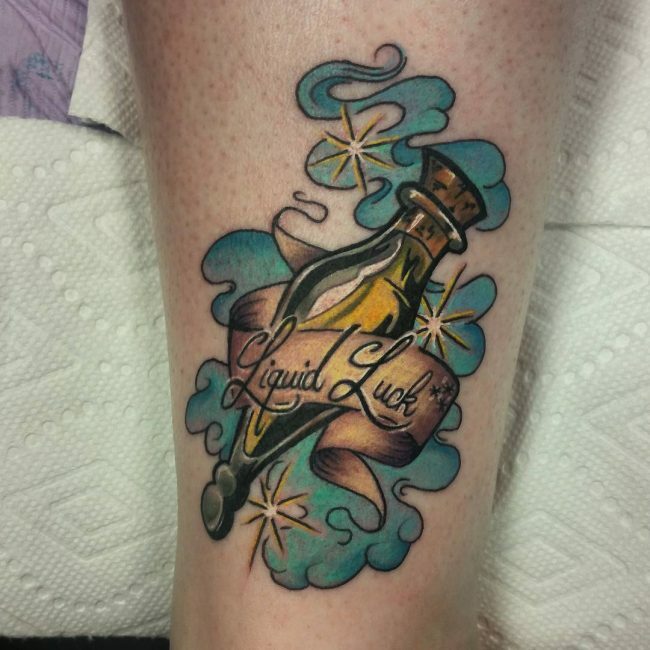 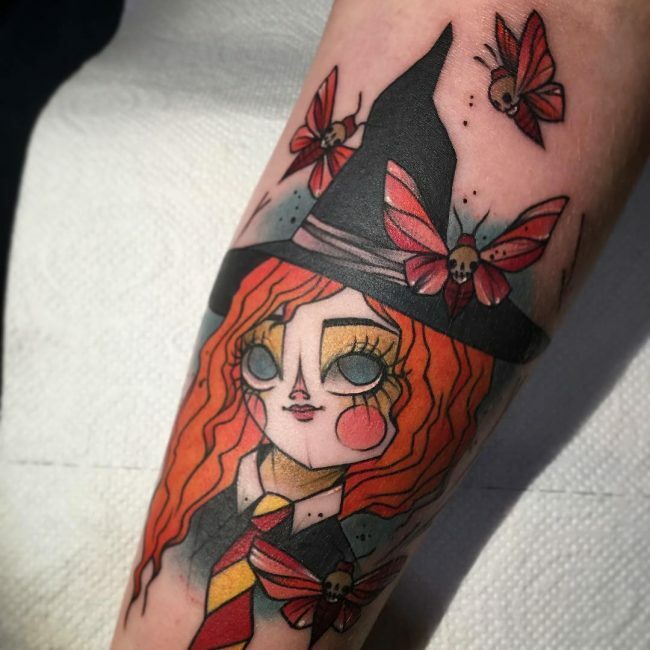 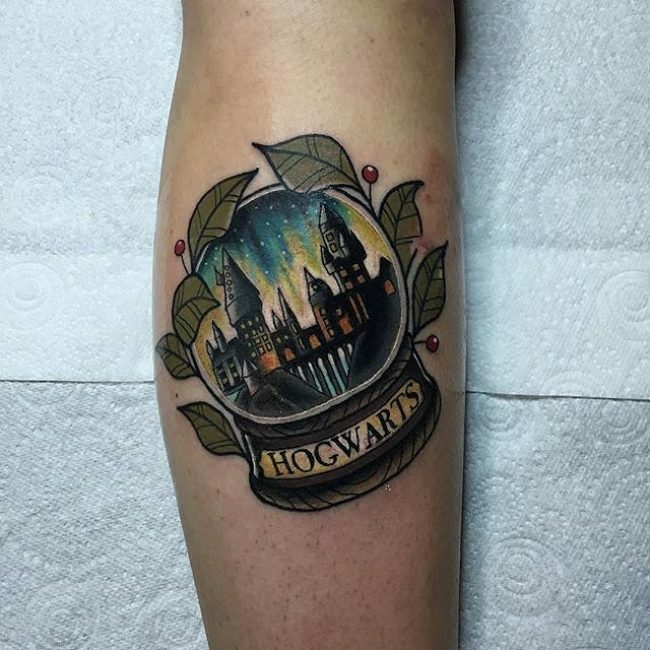 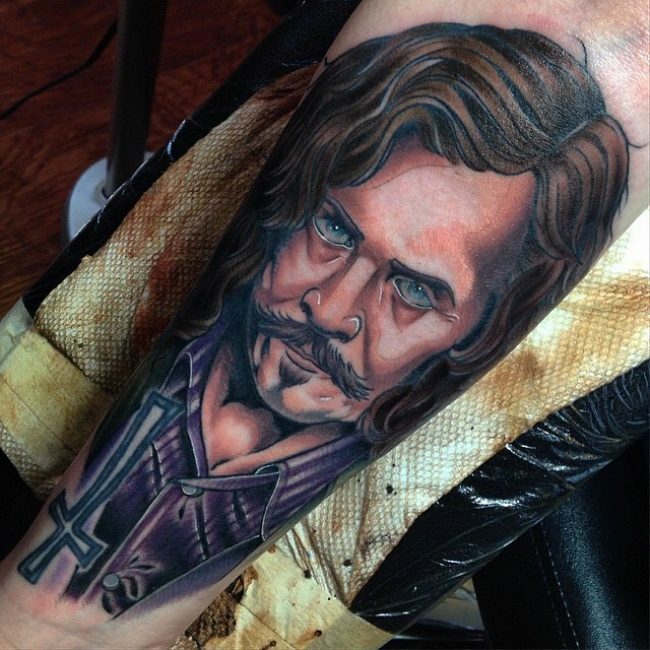 For this group of people, the series has a special place in their life and having a tattoo representing Harry Potter is a reminder of their childhood. 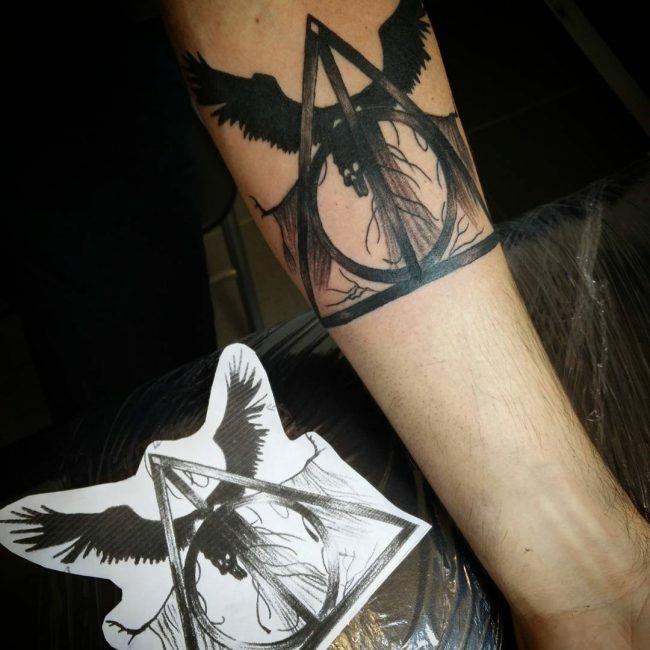 The particular image or symbol that you choose to have as your tattoo will also determine the meaning and symbolism. 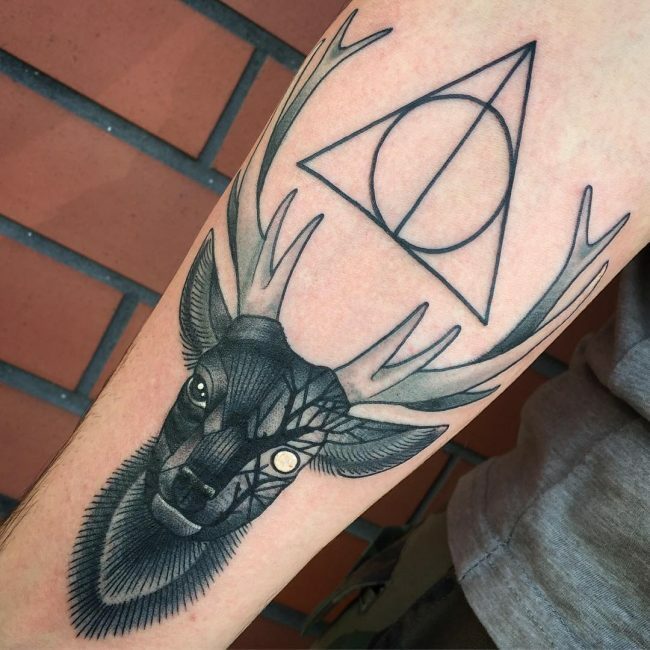 For example, the Deathly Hallows which is one of the most common tattoo images from HP symbolizes that anyone who has all the three elements that make up the symbol is the master of death. 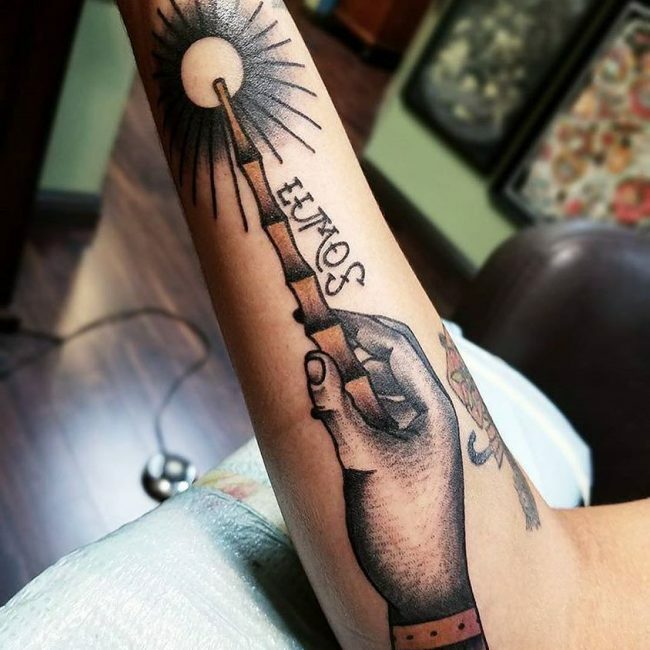 And so having this symbol can mean things like you are the master of your life, or you have everything under control. 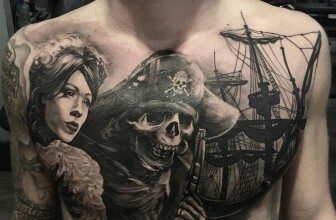 Even if one is not sure what a particular image means you can still have it if you like the appearance. 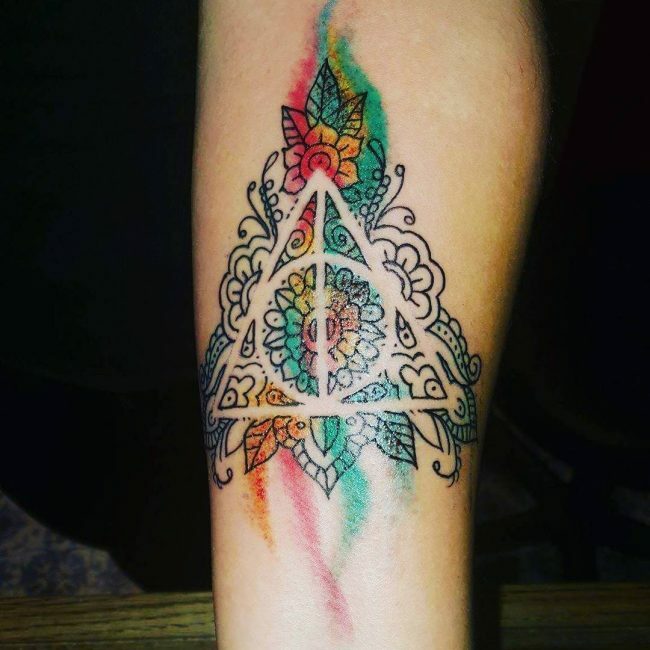 There are limitless things that you can draw to show your love, fascination, and loyalty to Harry Potter. 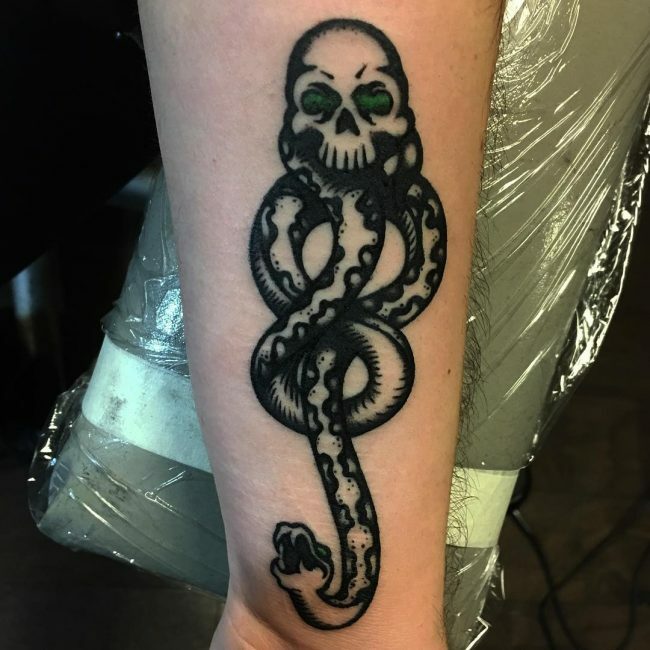 If, by any chance, the movies do not offer you enough inspirations there are many ideas that you can get from the books and even from the dozens of games with the same them. 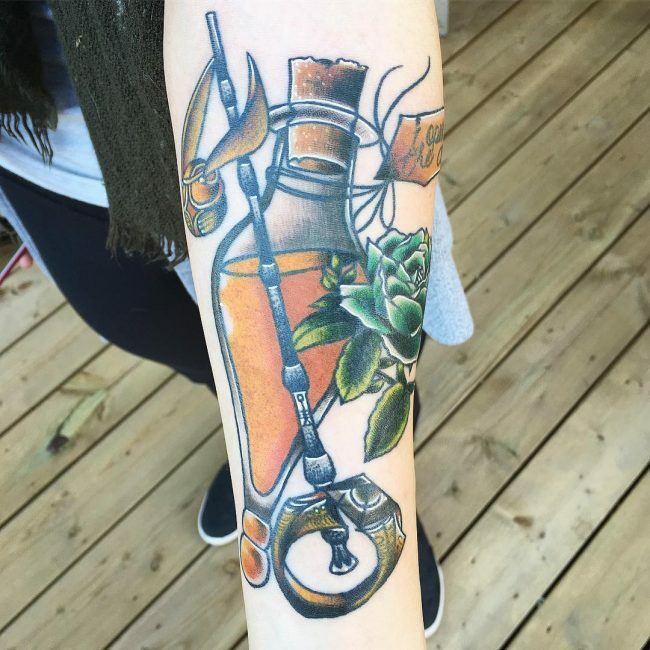 Here are some easy and stylish ideas to get you started. 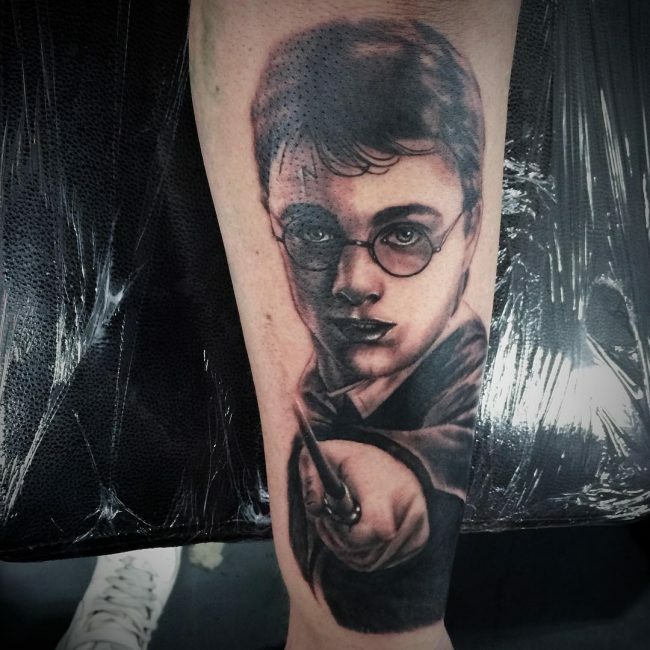 Daniel Radcliffe plays Harry Potter in the film series, and his face is what people now accept as the appearance of the fictional character. 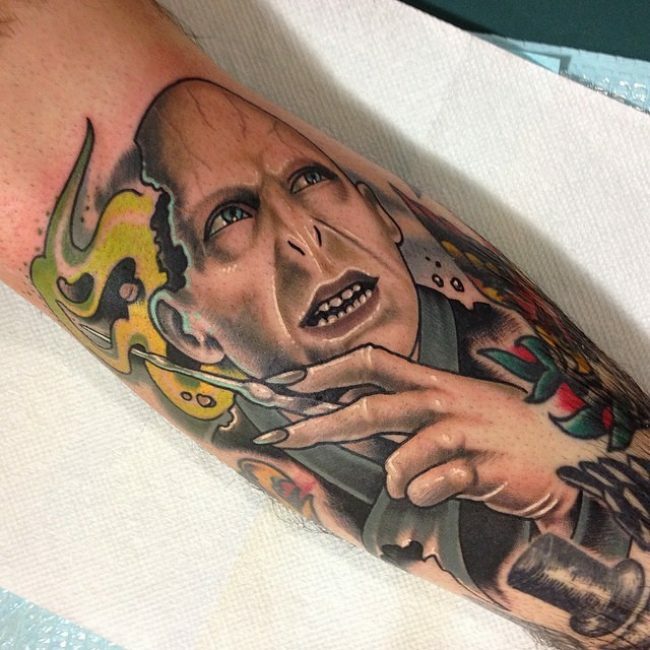 However, there have been many variations of Potter’s face over the years. 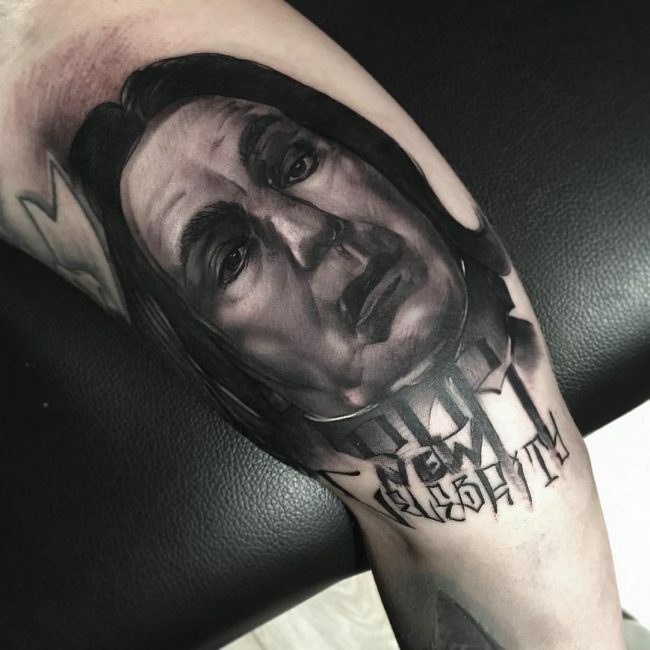 And so having a portrait of the main cast of the series is an excellent choice because it is very recognizable. 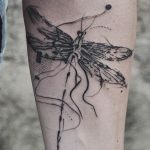 You can produce it in black and white to enhance the magical feel or draw it in a modern 3D design. 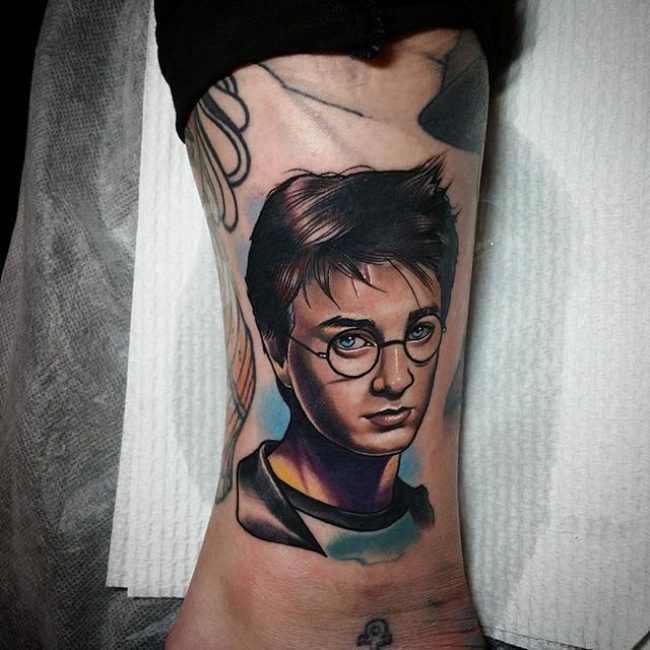 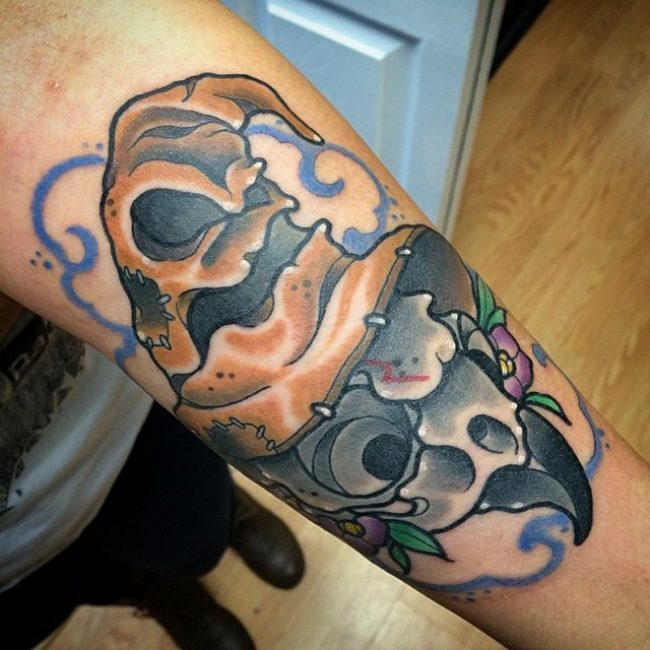 Some tattoo enthusiasts do not like extra fancy or tattoos with too much detail. 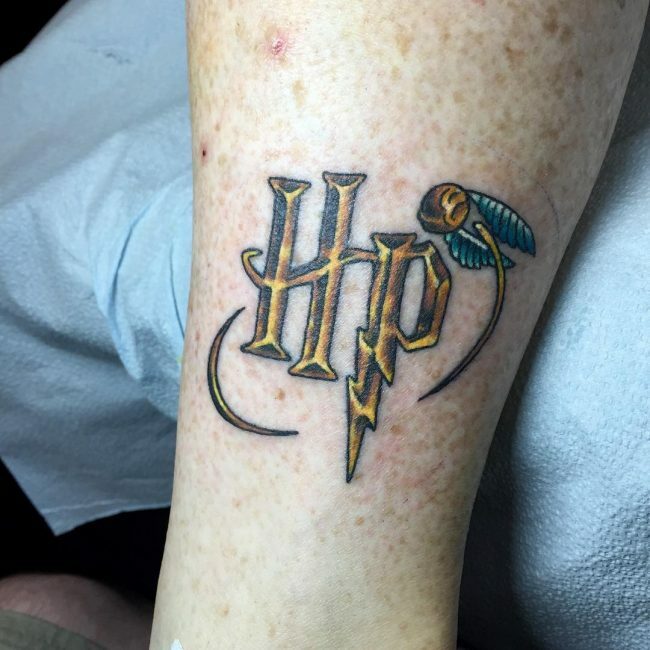 If you are one such person having the Harry Potter initials (HP) will be an ideal choice for you. 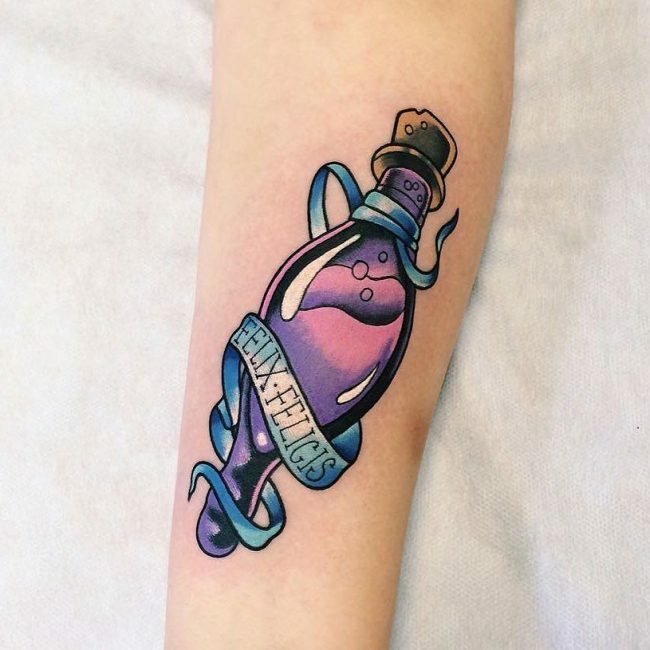 Contrary to what you might think, this tattoo is still very adorable because you can spice it up by using a unique and modern calligraphy to draw the two letters. 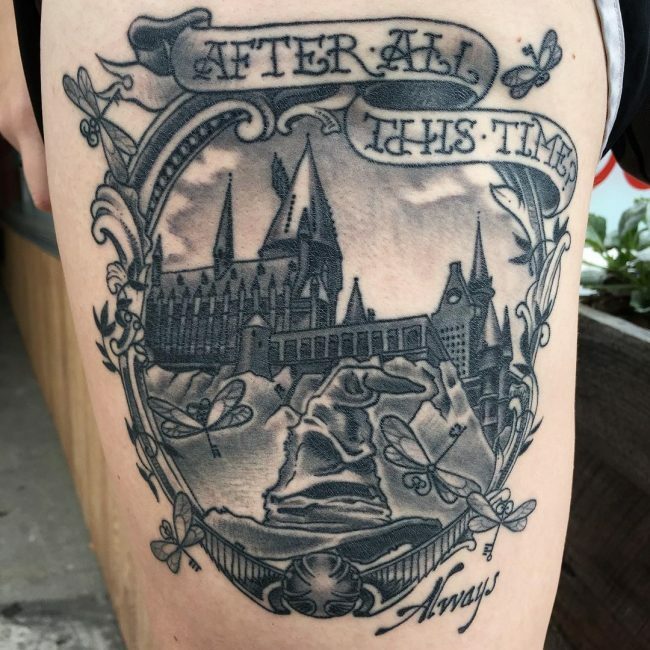 It is also an excellent idea to combine the initials with a short phrase or quote from the movie and paint it in a unique place like behind the ear. 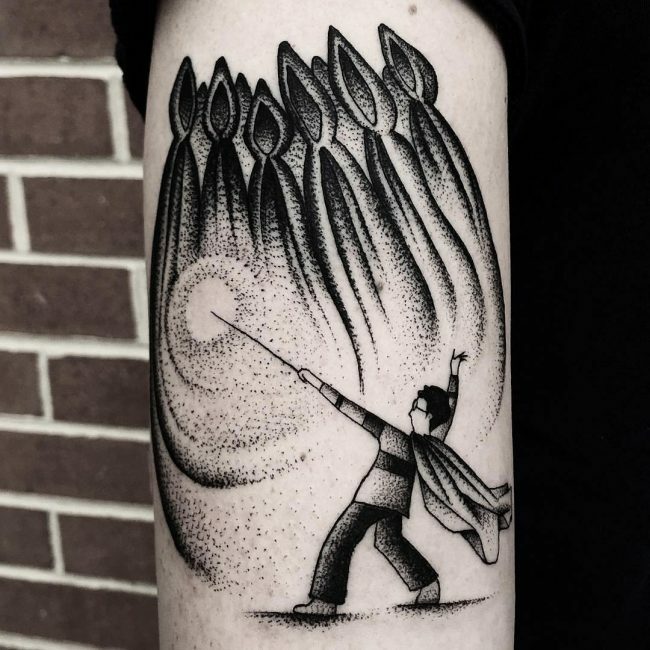 There is a lot of magic in Harry Potter, and it is in fact what makes the movie interesting and probably also the reason why millions of people across the globe love the films. 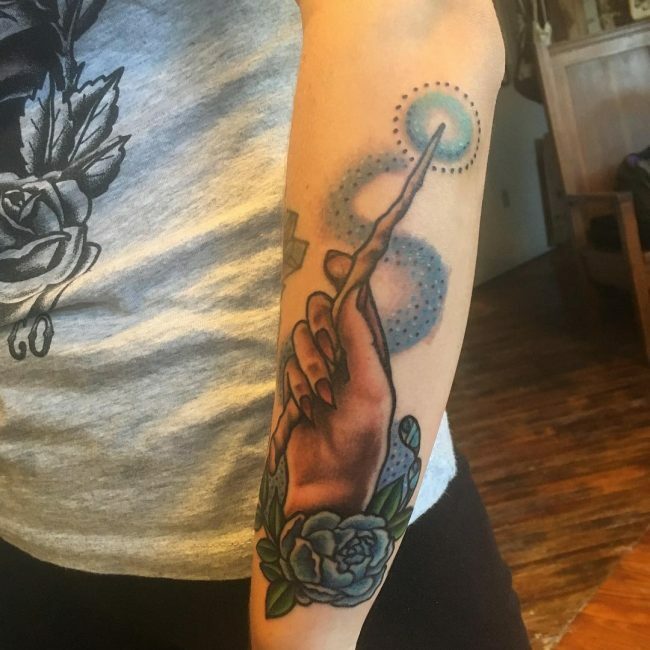 A Harry Potter tattoo that entails drawing a wand is the best way to show your fascination with all the magic found in the books and movies. 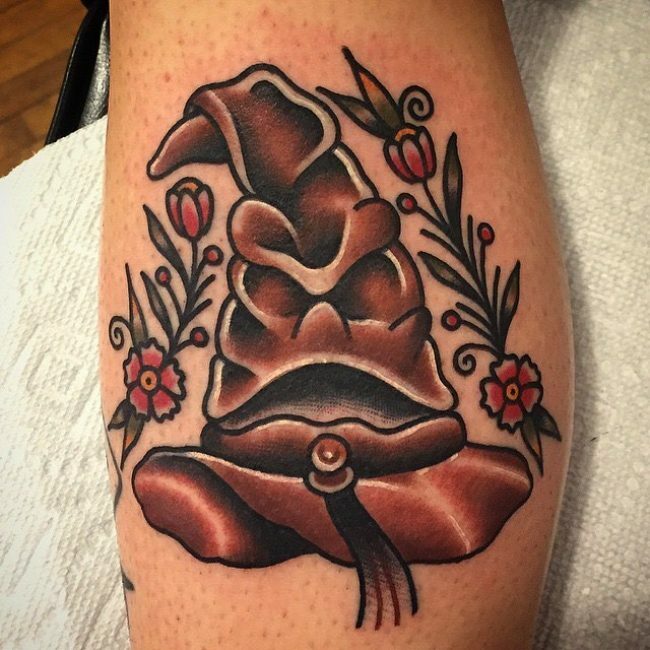 However, most people prefer to get a wand with a rose flower to make the image more attractive and symbolic. 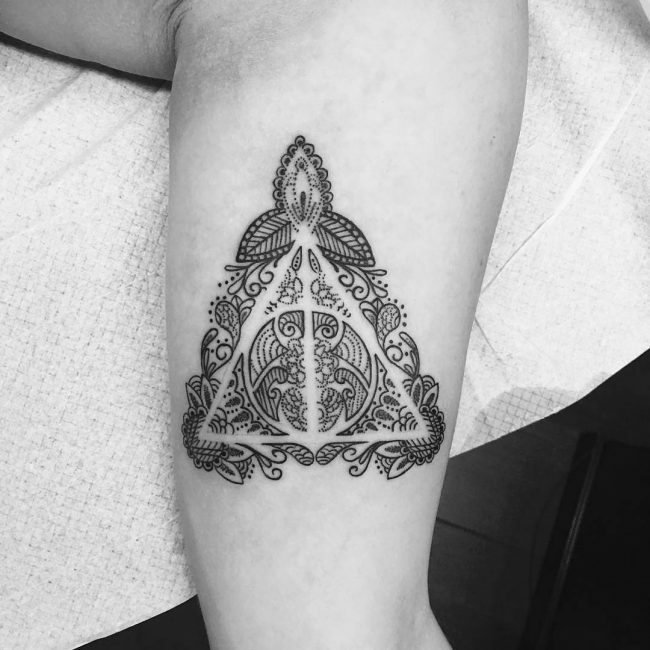 The Deathly Hallows is one of the most famous symbols from the Harry Potter film series, and it makes an attractive tattoo design. 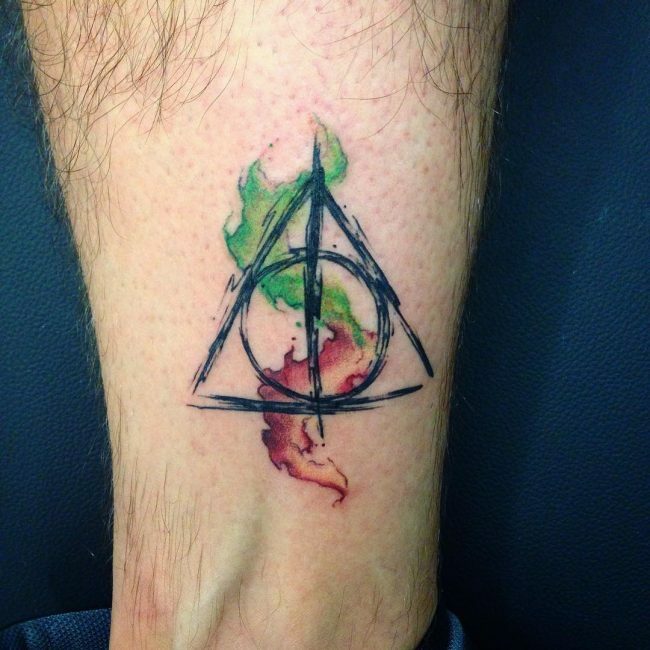 This symbol consists of a circle inscribed in a triangle and with a line that runs down the middle. 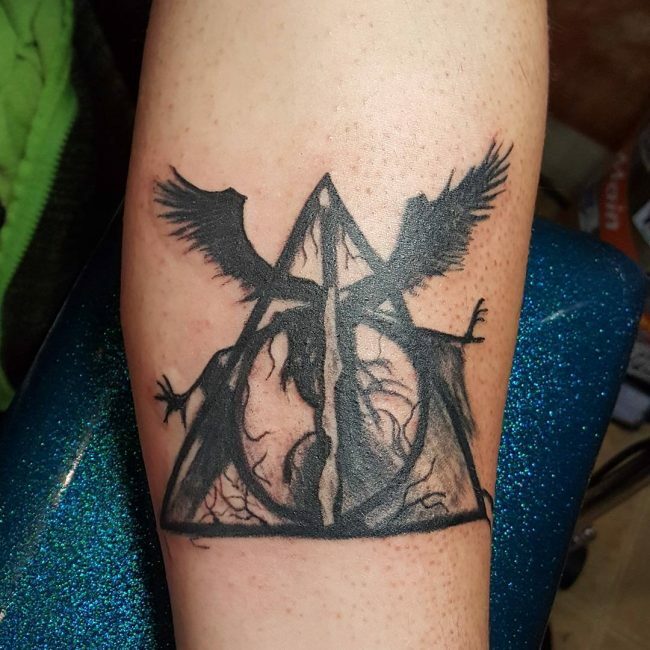 It is a very symbolic image that only fans of the series will understand what it means. 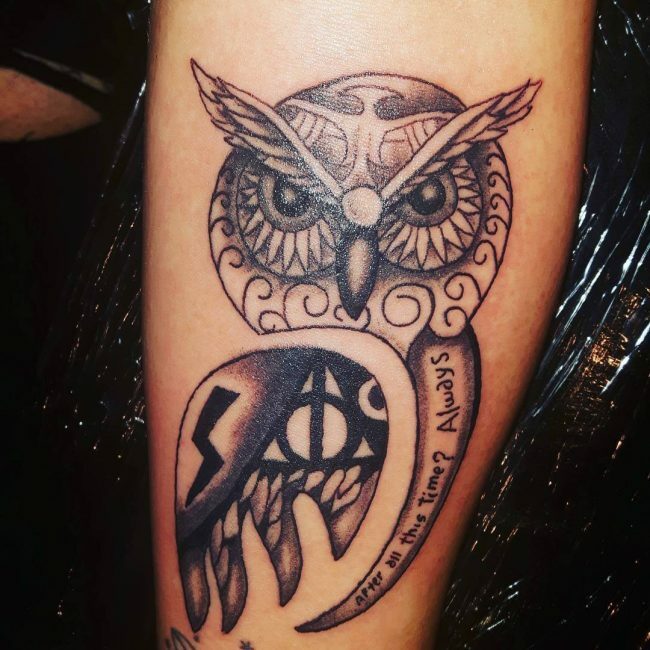 Although it still looks adorable when you draw it in plain black ink, some people prefer to use words to form the symbol so that their totem can be more symbolic. 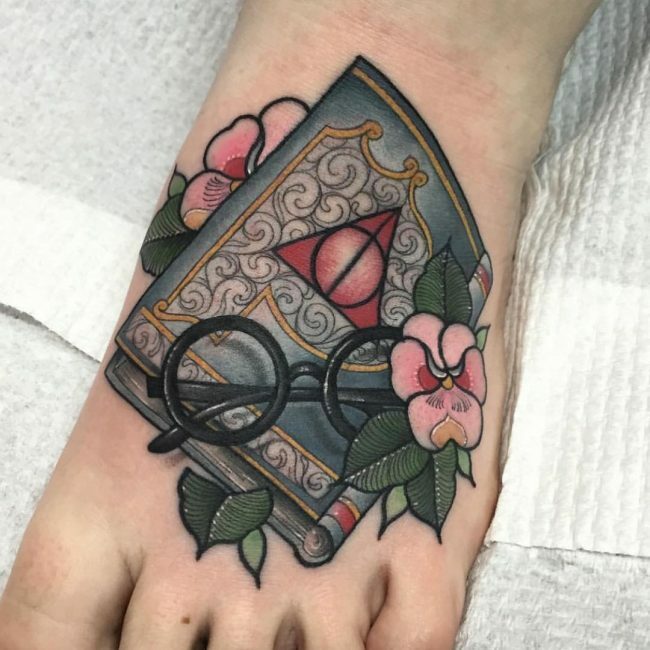 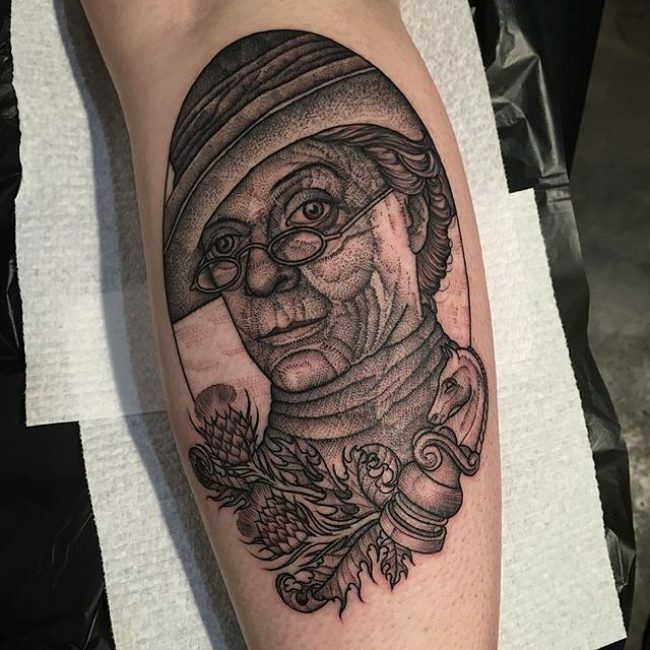 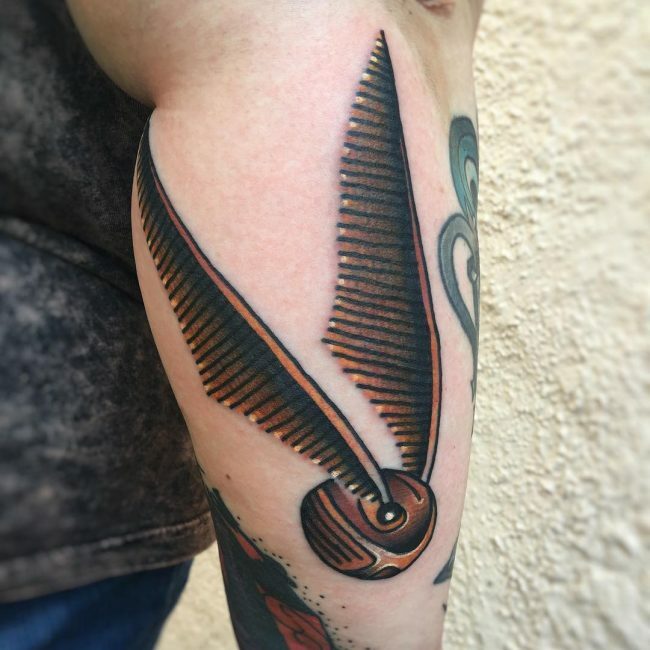 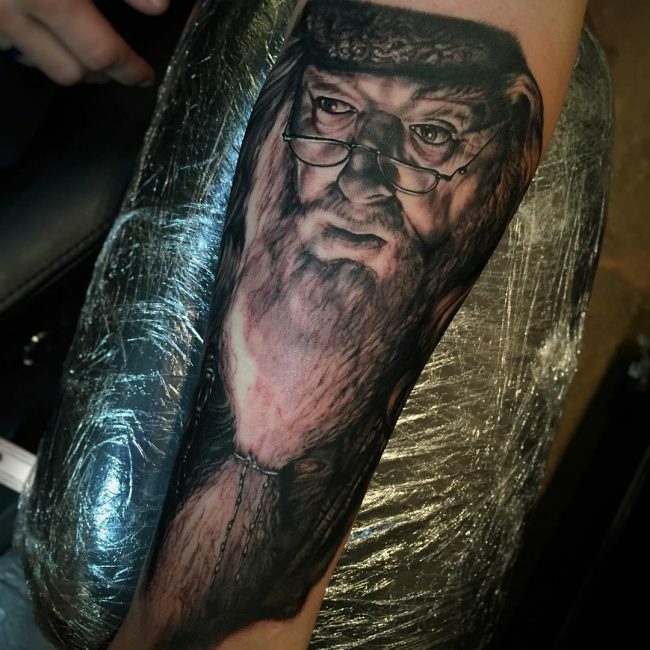 Harry Potter has some unique spectacles that form part of his identity, and if you are a loyal fan, they are also a perfect tattoo idea. 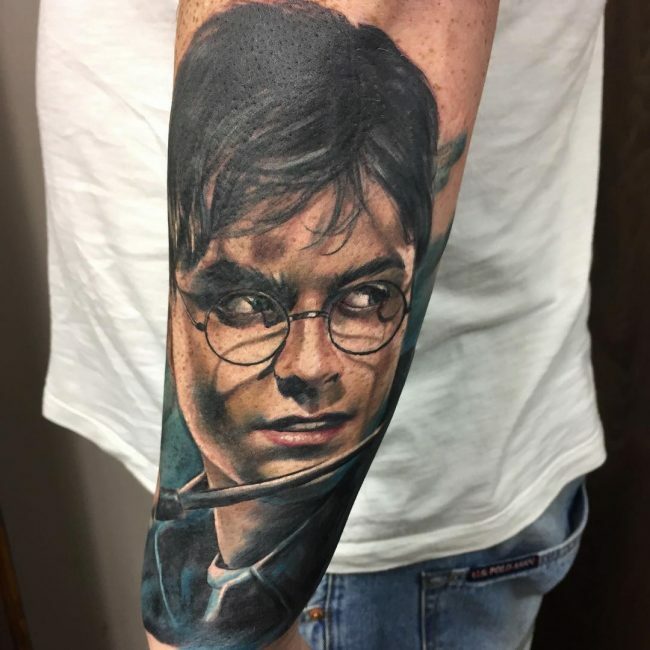 Whereas some people will try and draw them as a realistic tattoo or exactly how they appear in the movie, others prefer to spice up their design with some watercolors. 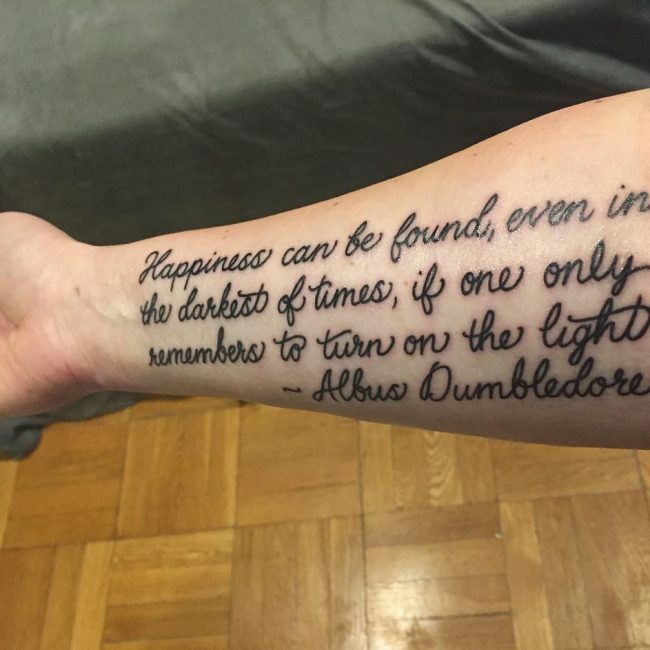 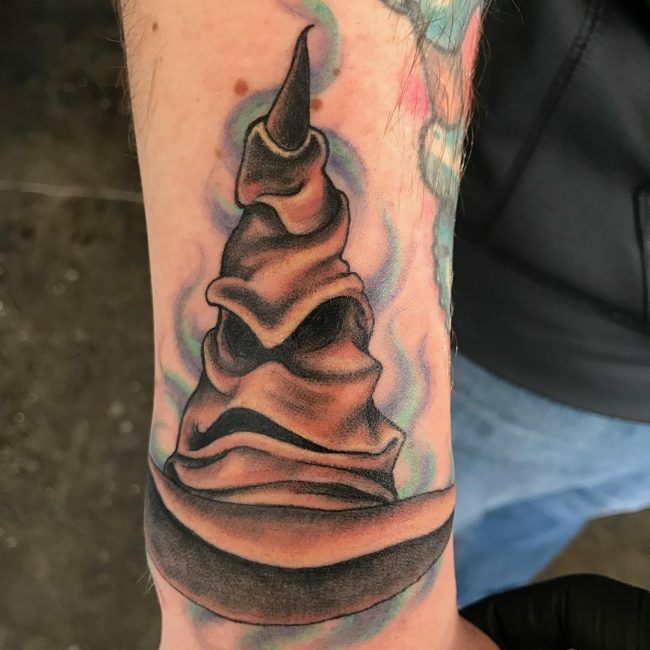 HP fans love fancy things, and this is why you will find many of them having their tattoos in Blacklight designs. 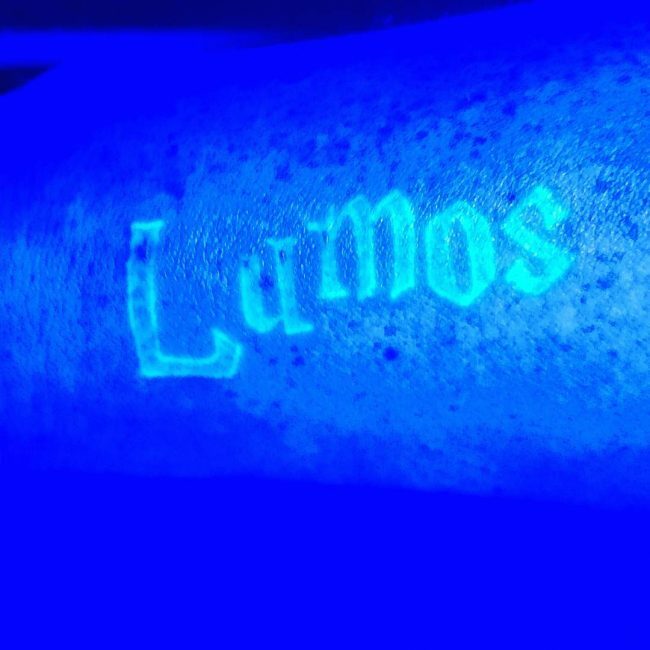 These tattoos are only visible under UV Light, and so there are perfect for anyone that wants something mysterious or a totem that is easy to conceal. 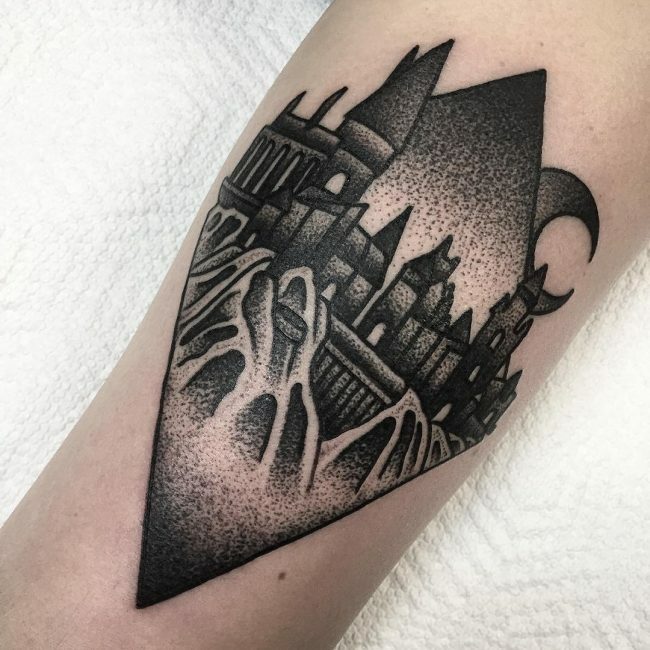 Marauder’s Map is one of the tattoos that HP fans like to have in this design. 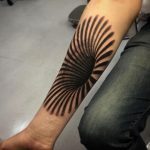 If UV ink does not impress you, there is still the option of going for white ink which is also unique and trendy. 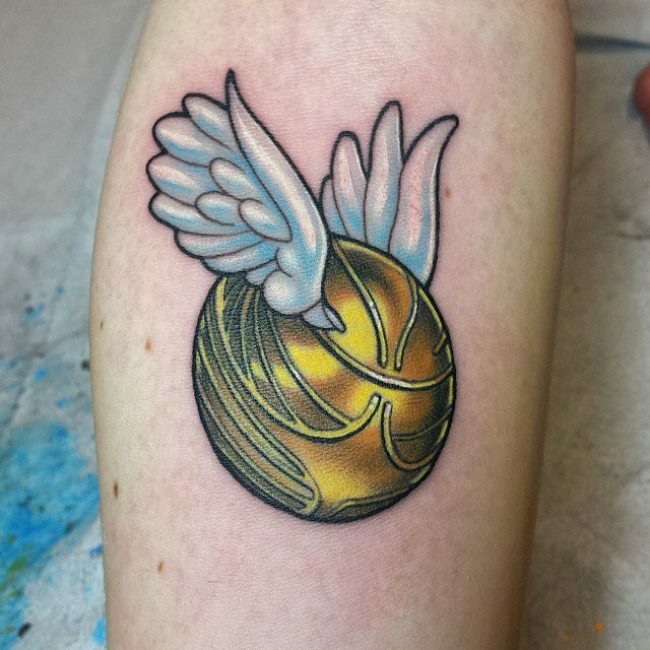 The flying keys appear on the first movie in the series (Sorcerer’s Stone) and as the name suggests they are just keys with wings. 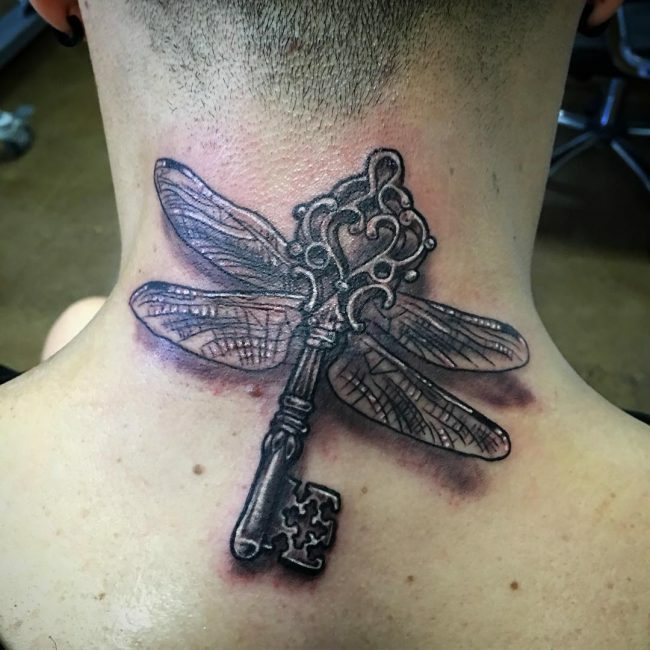 These keys are a popular Harry Potter tattoo and individuals draw them in various fancy designs. 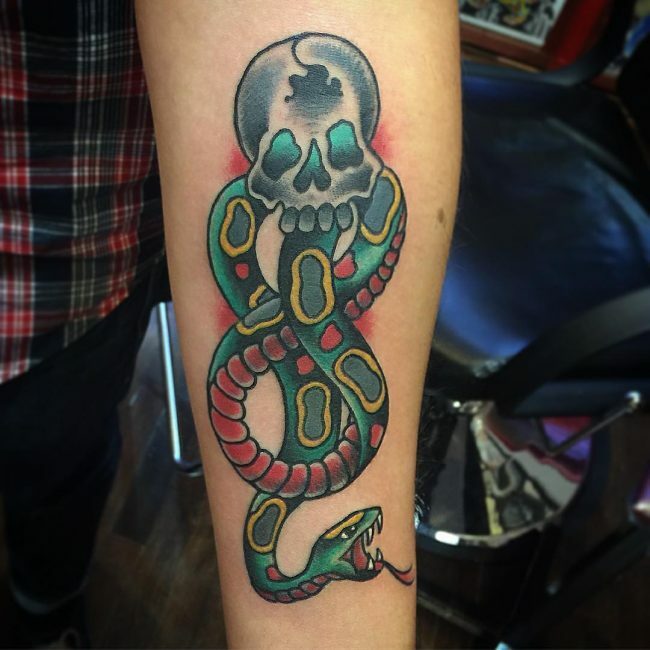 There is also one variation that entails having the key as a snake and with a skull forming its upper section. 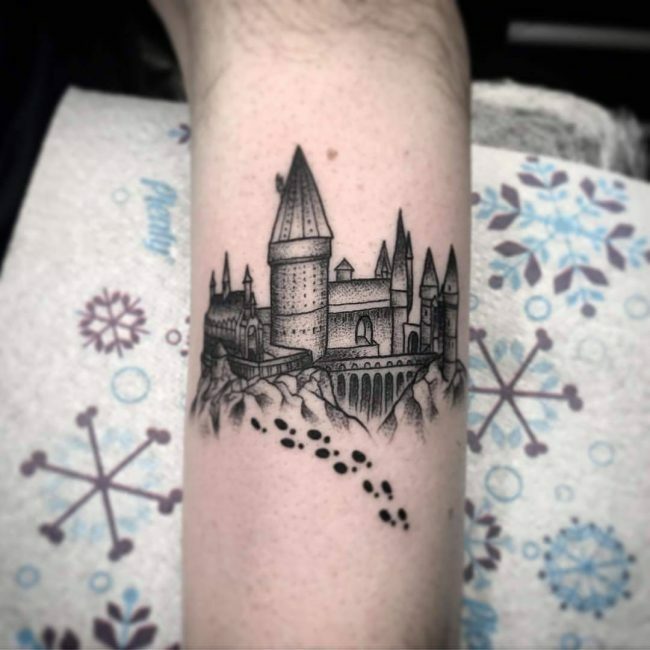 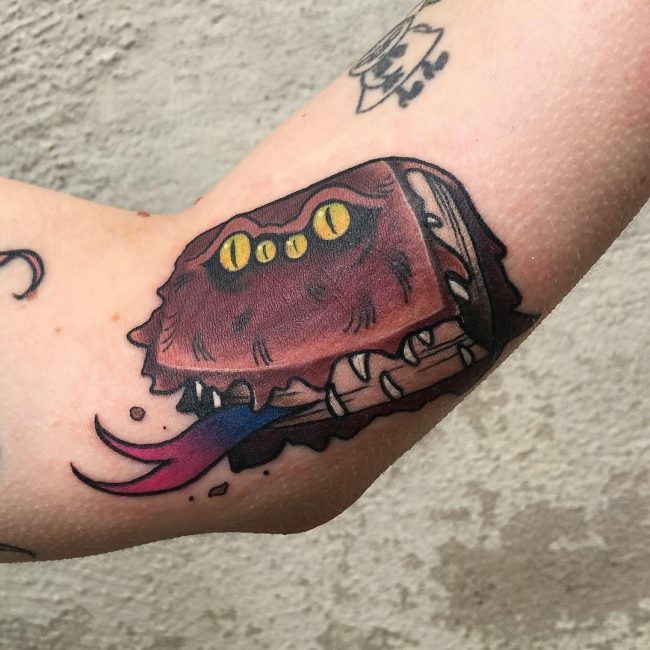 The fact that there are hundreds if not more HP tattoos out there is enough proof that you can place it in almost any part of the body. 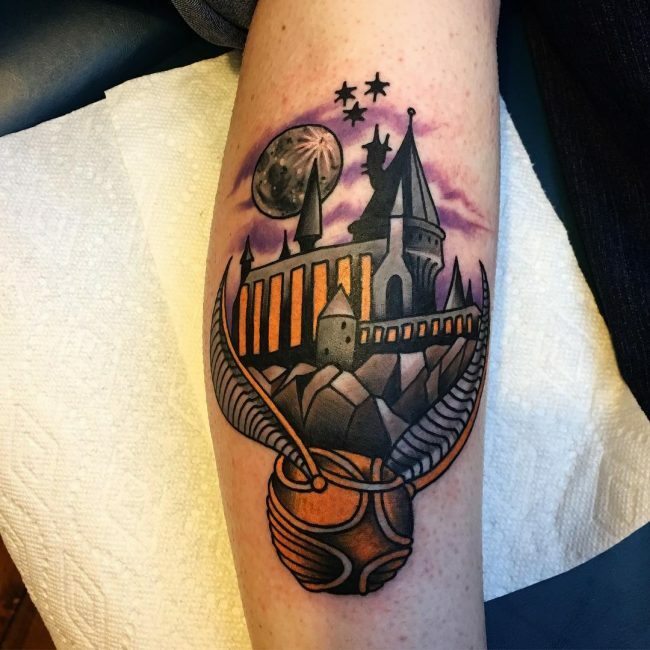 Whether your Harry Potter tattoo is massive or a small symbol, there are endless places of drawing it. 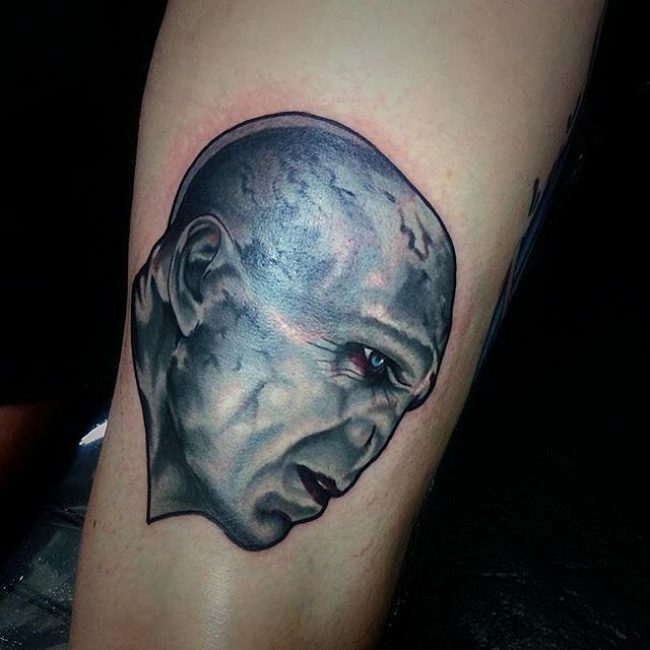 You will even find individuals drawing a portrait on their bald head to show their love for the series or having an unusual HP initial behind the ear. 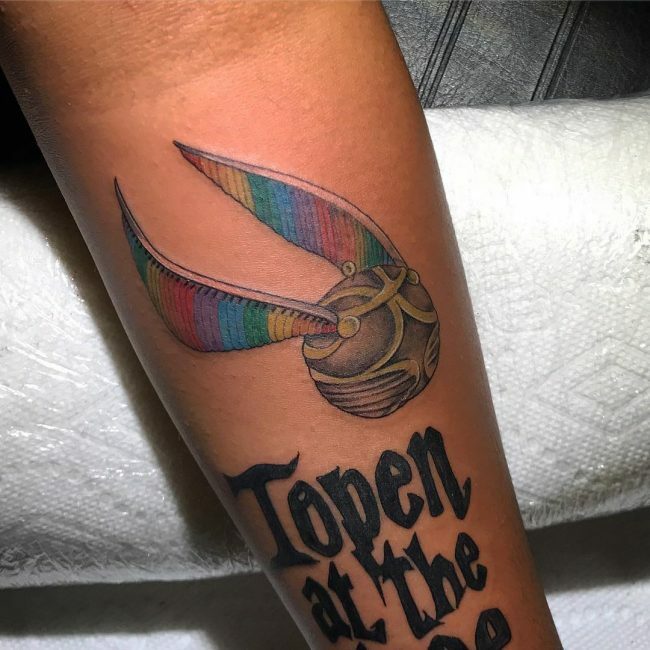 The fingers also form perfect placement areas for phrases and simple totems. 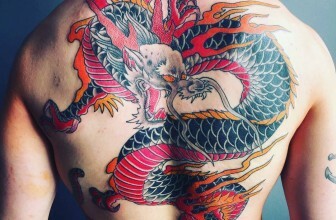 However, the back, chest, legs, and sleeve are still the best places to draw medium size and large tattoos. 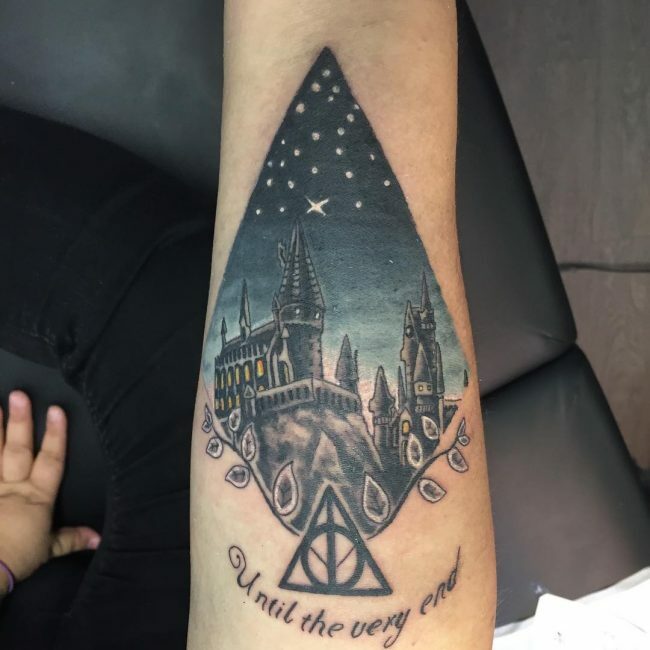 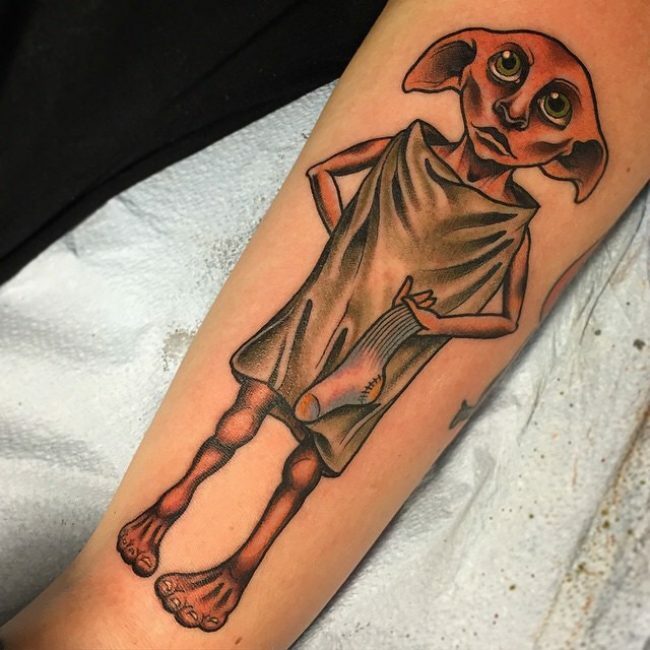 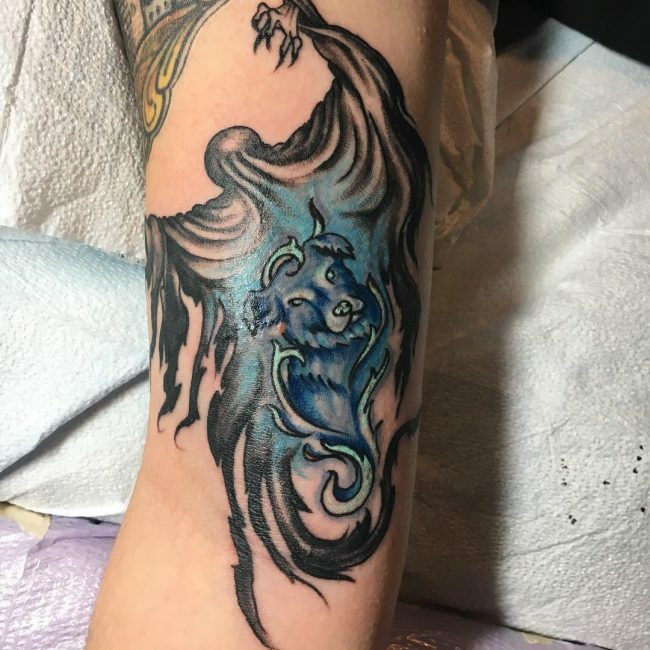 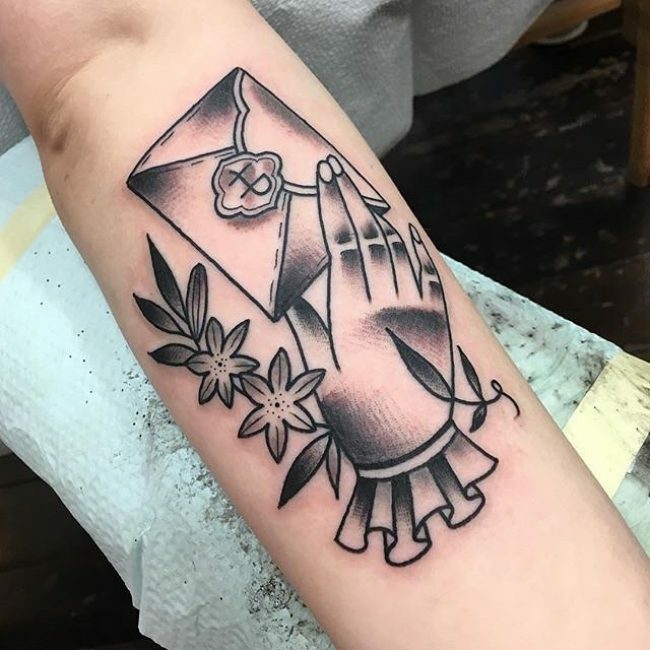 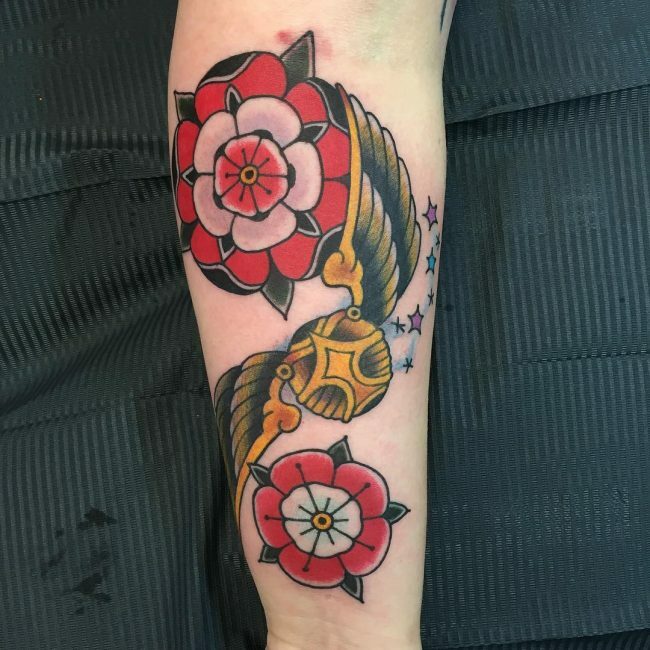 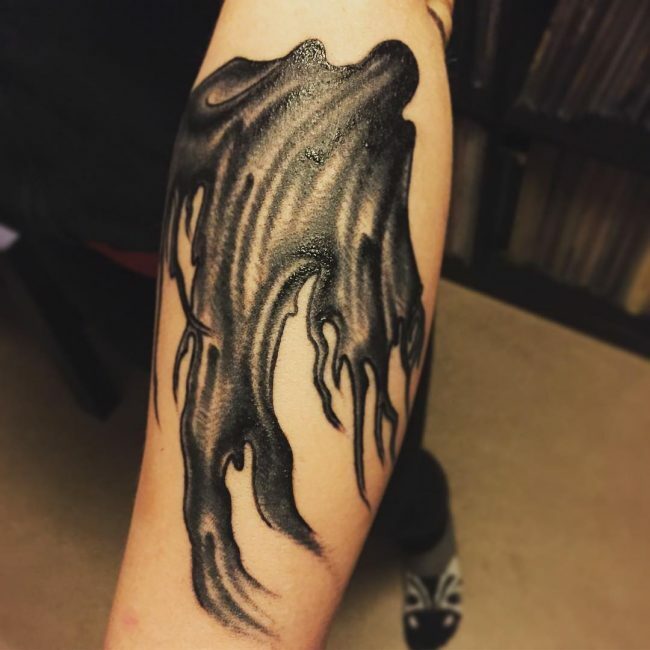 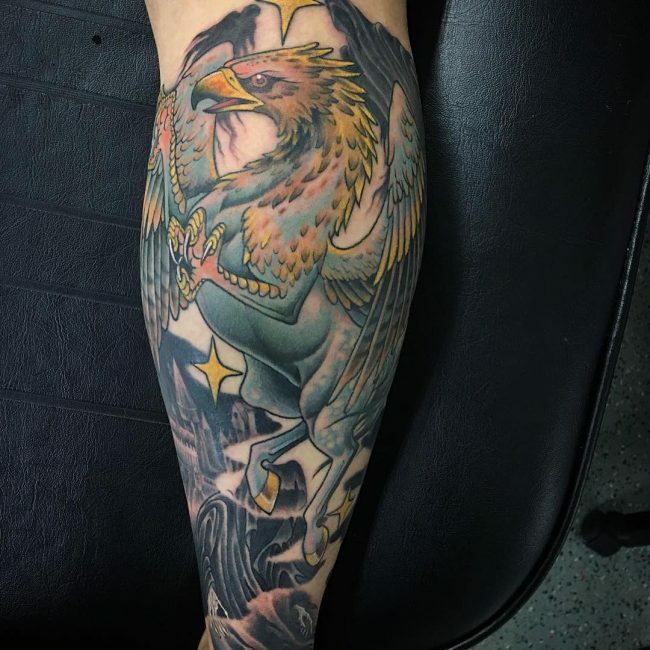 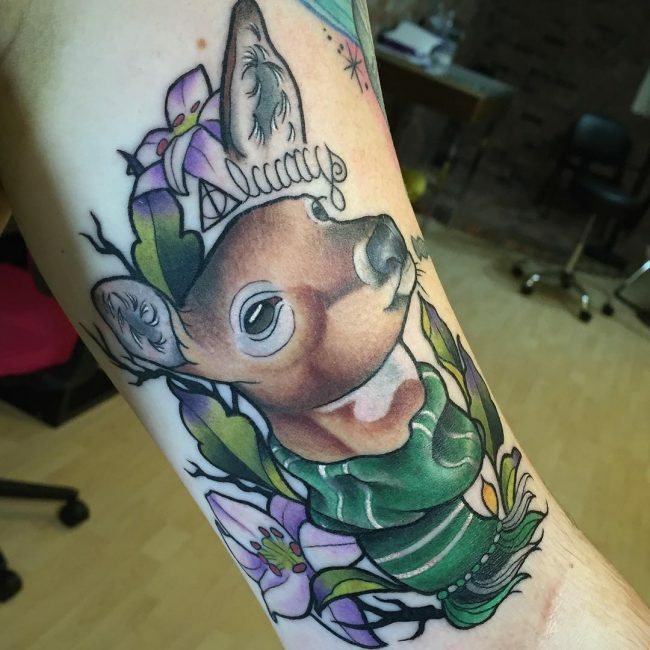 You do not have to love the books or films to get a Harry Potter tattoo because most of the totems that fall in this category are beautiful and symbolic images. 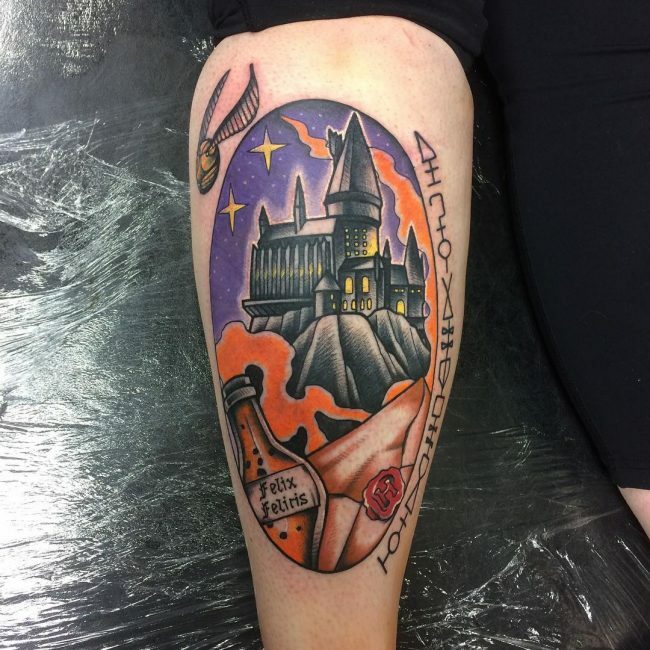 It is also not important to understand the meaning as you just have to choose something attractive that also conforms to your tastes.